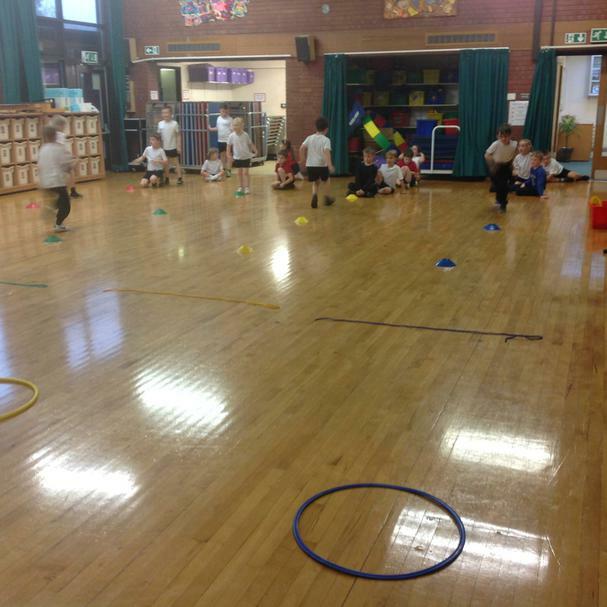 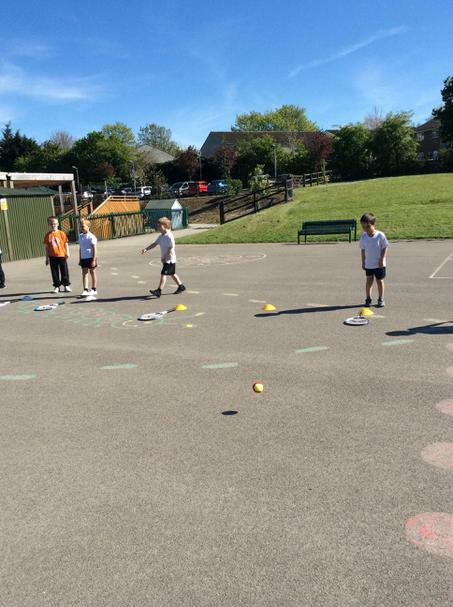 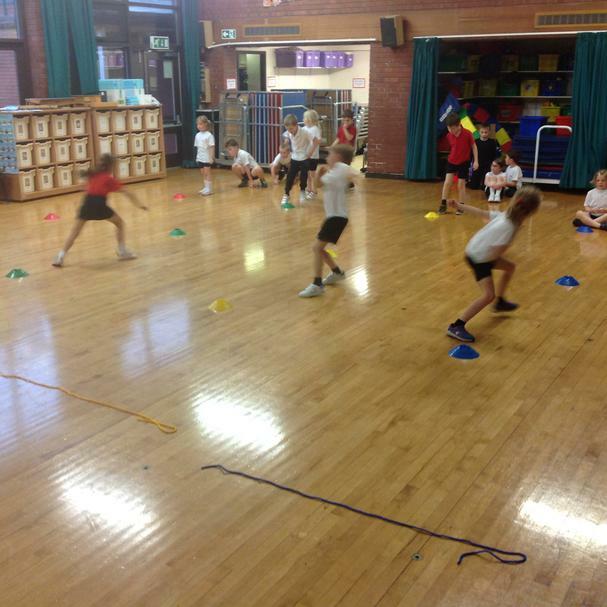 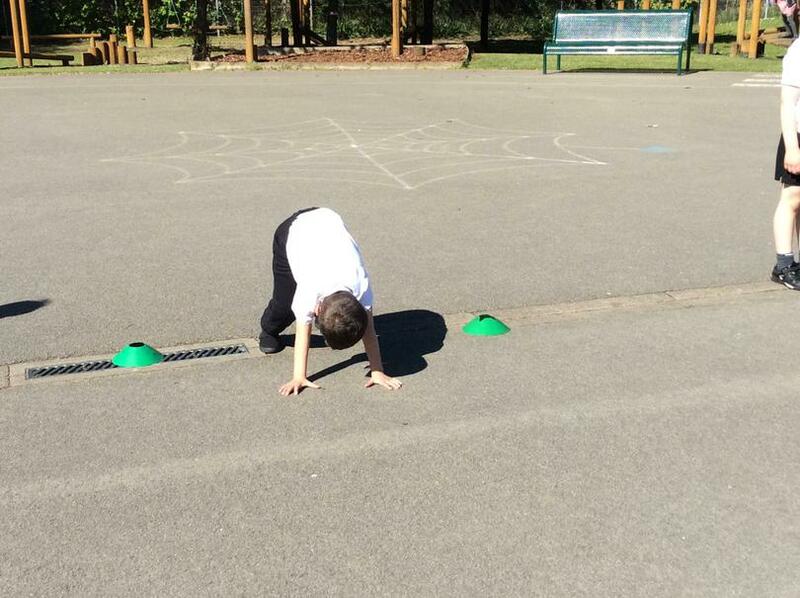 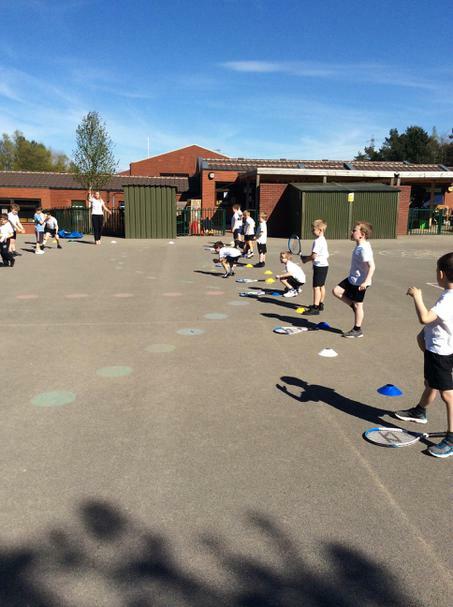 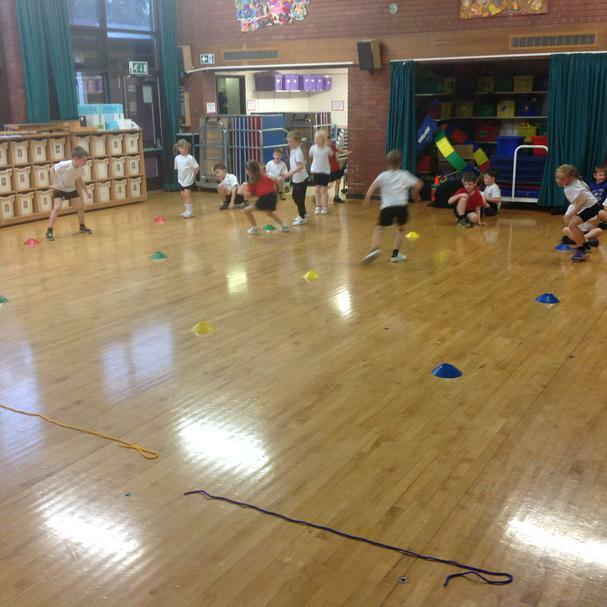 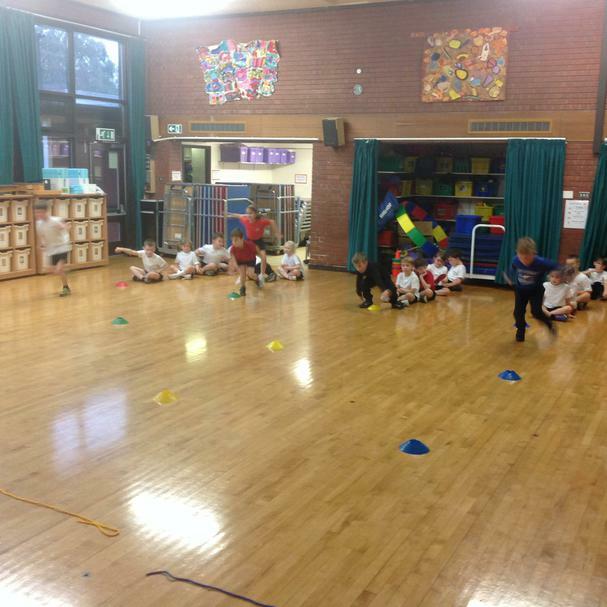 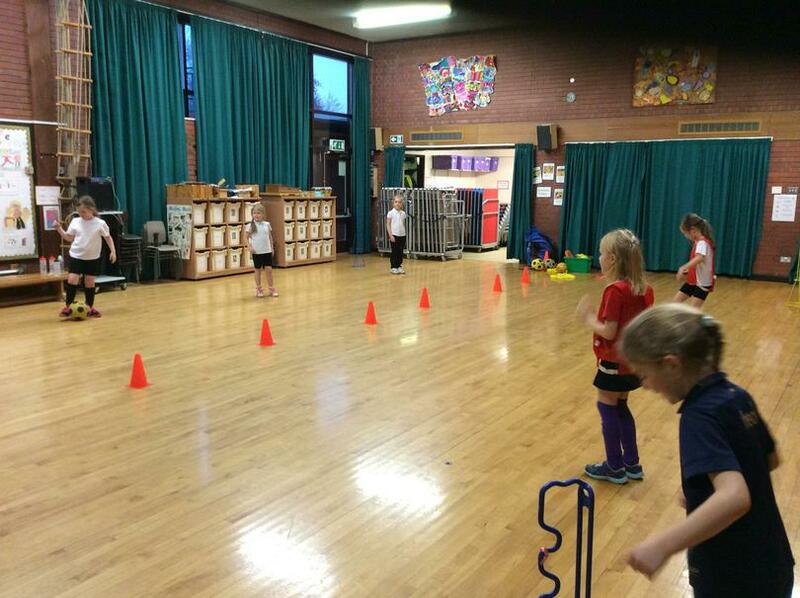 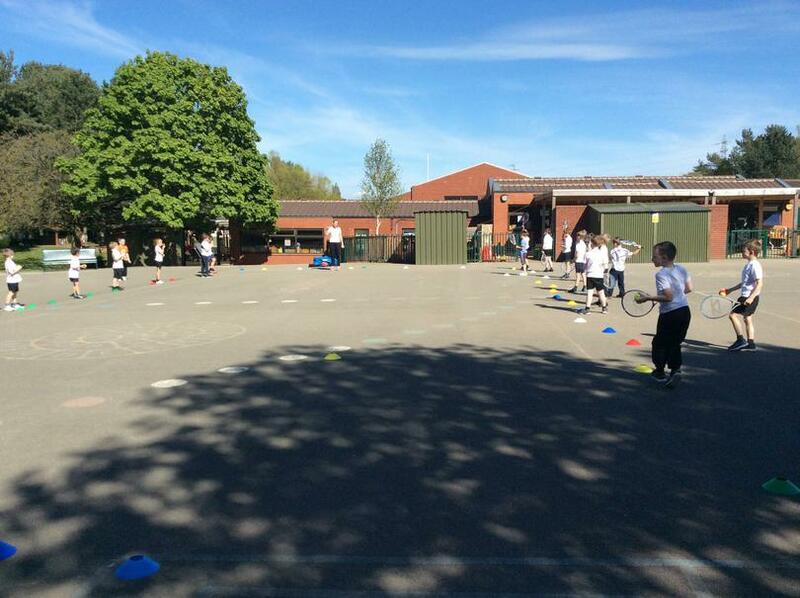 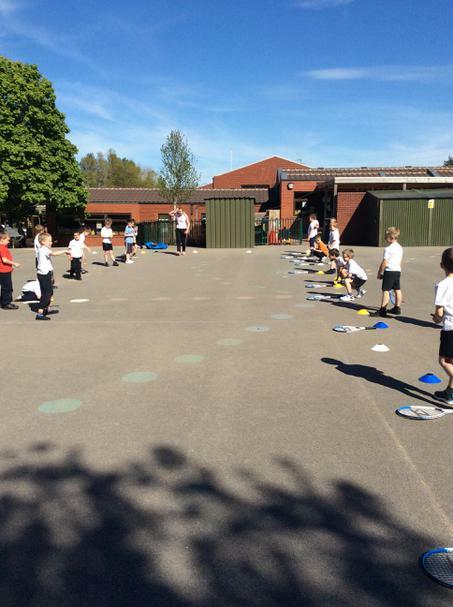 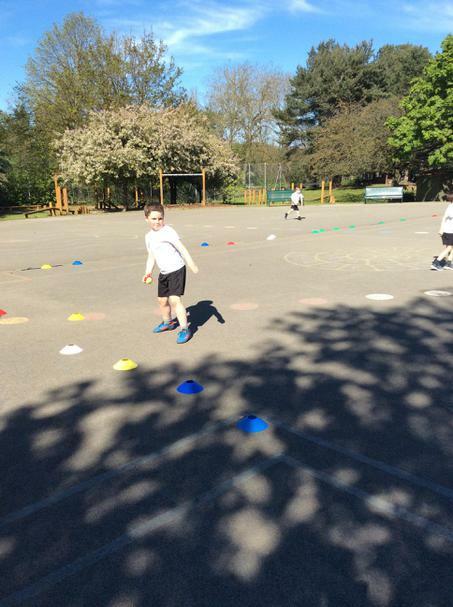 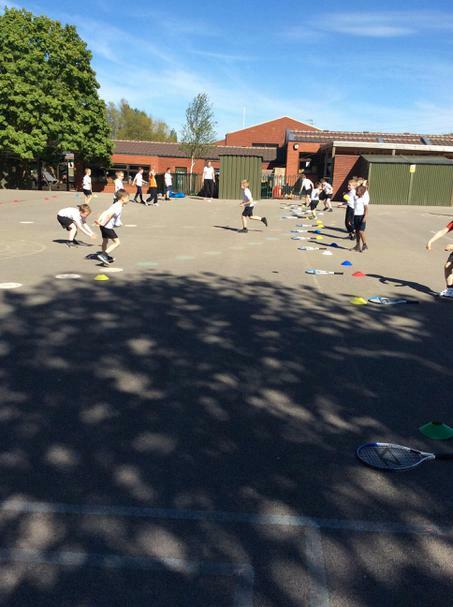 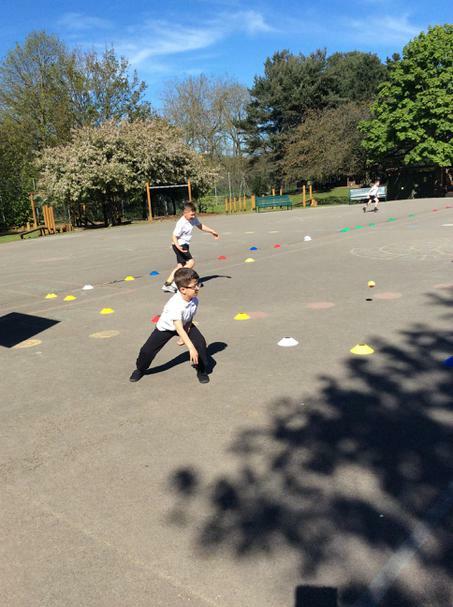 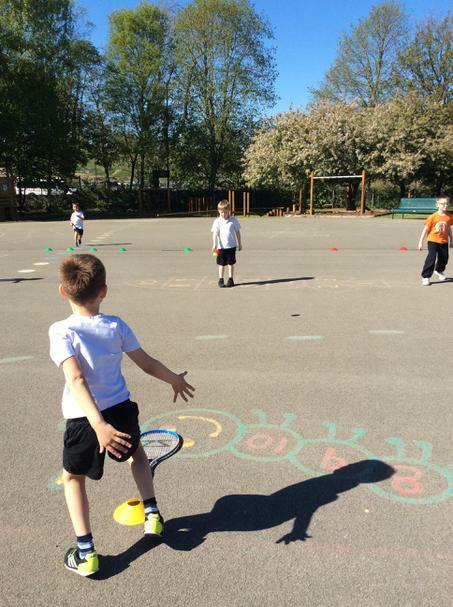 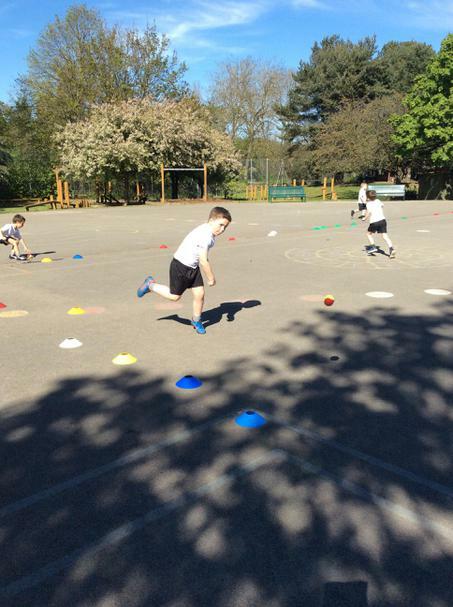 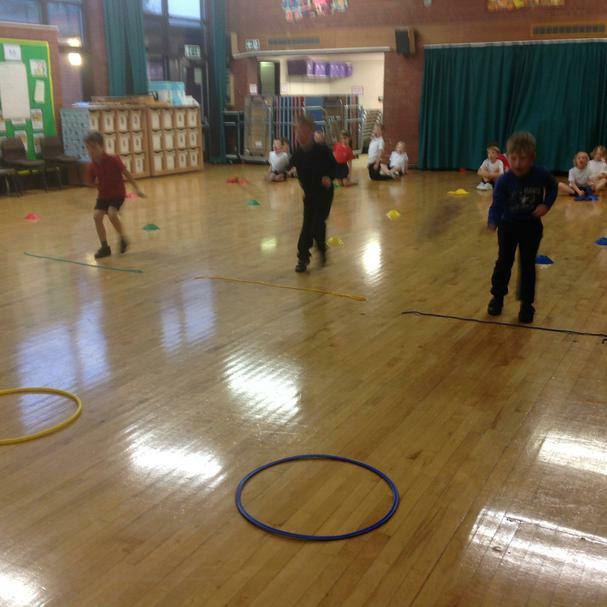 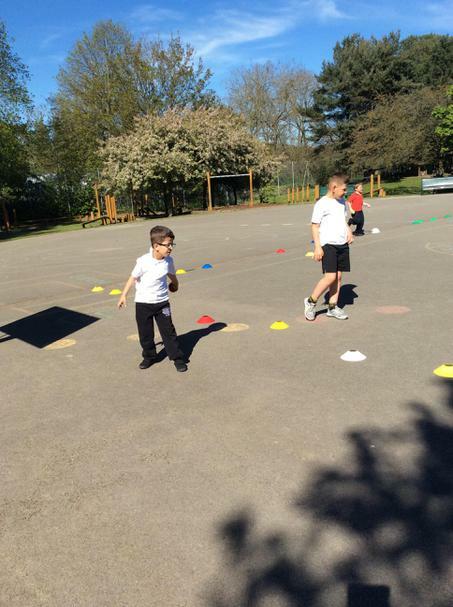 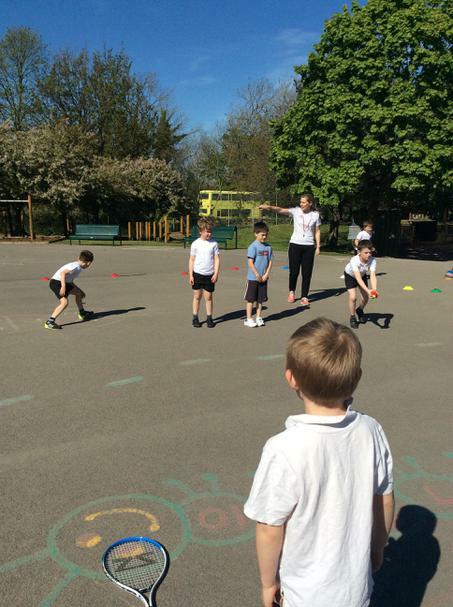 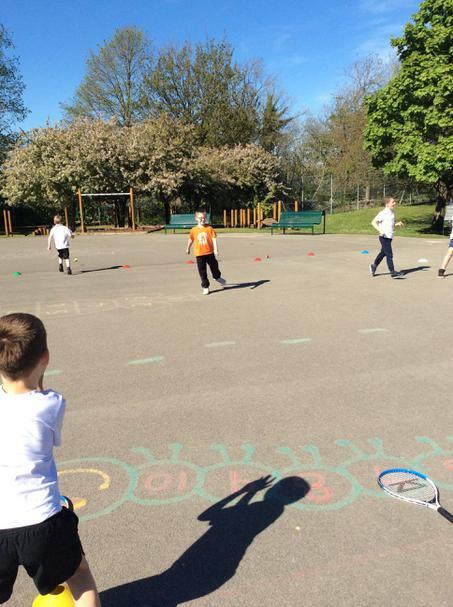 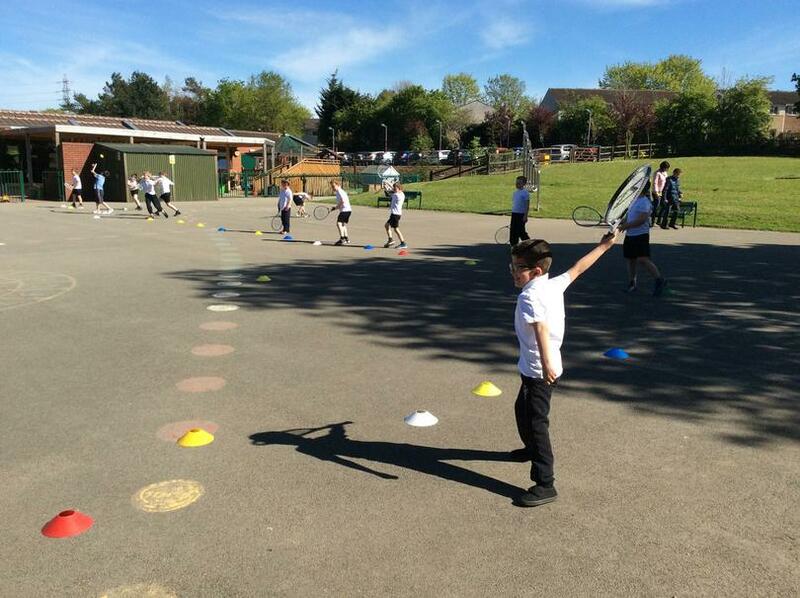 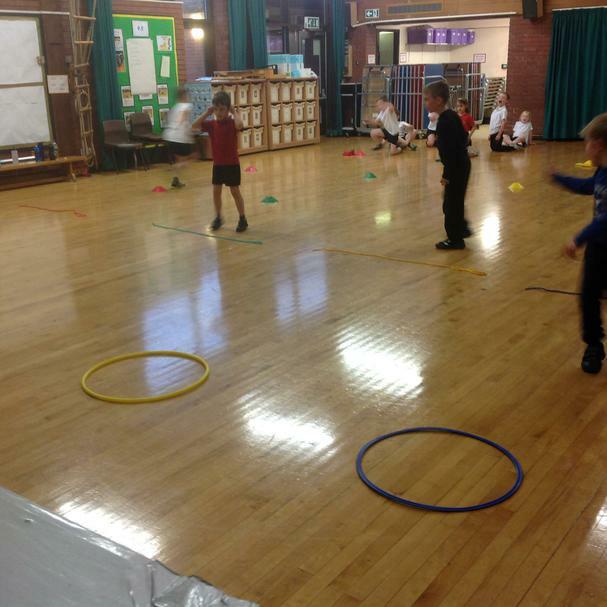 A selection of Year Two children enjoyed making up their own games with a variety of sporting equipment during Jumping Jacks. 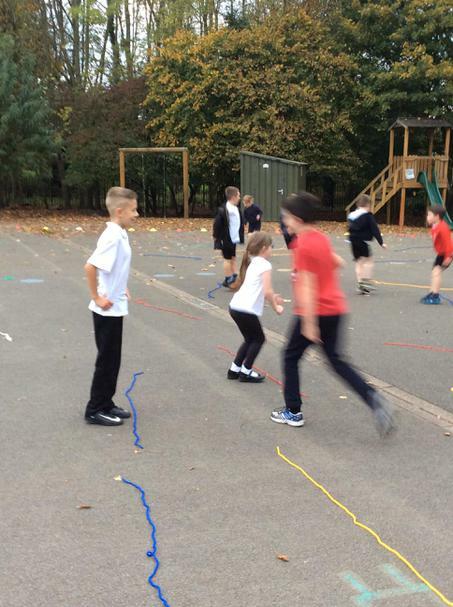 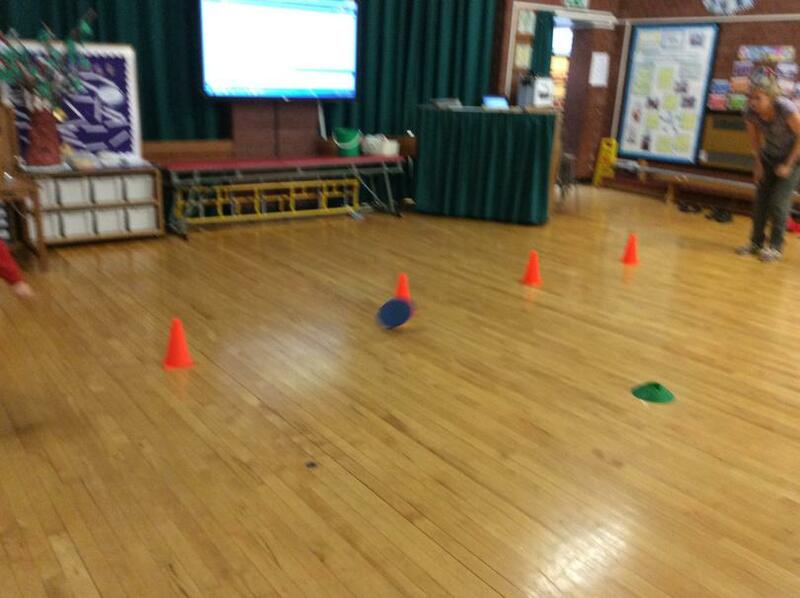 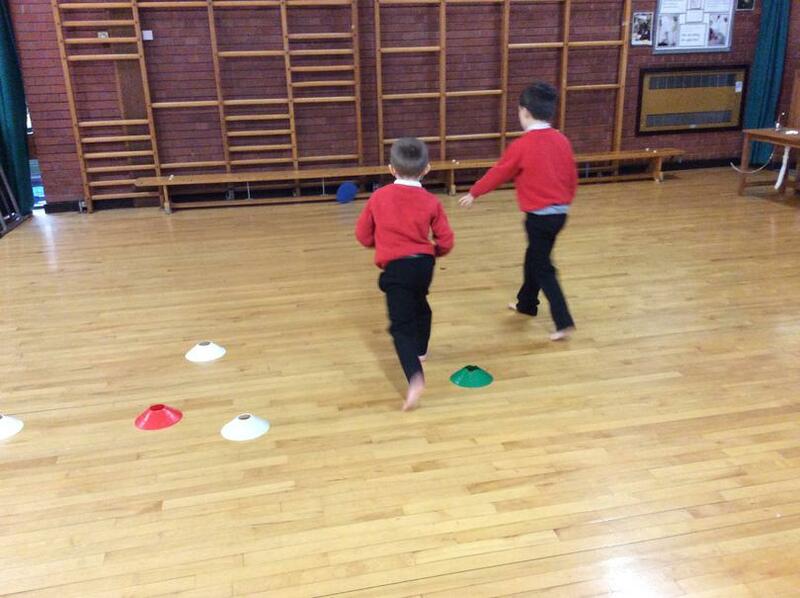 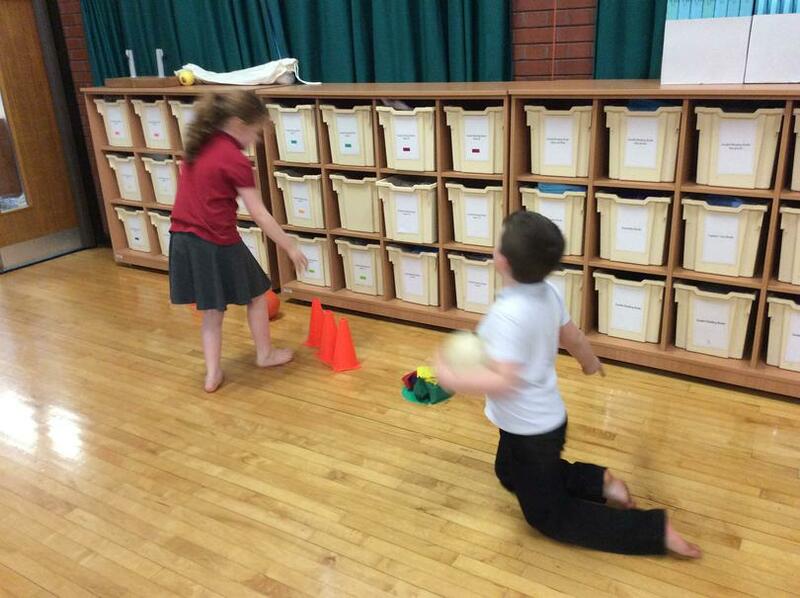 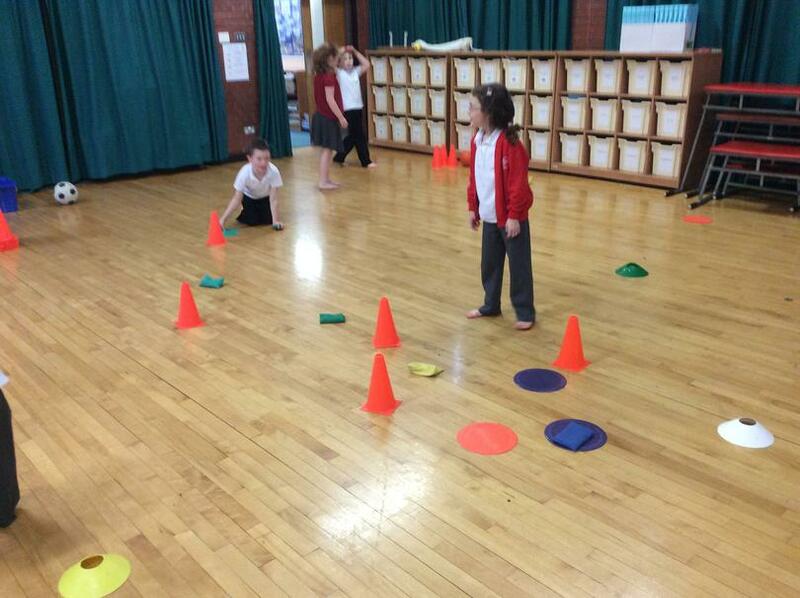 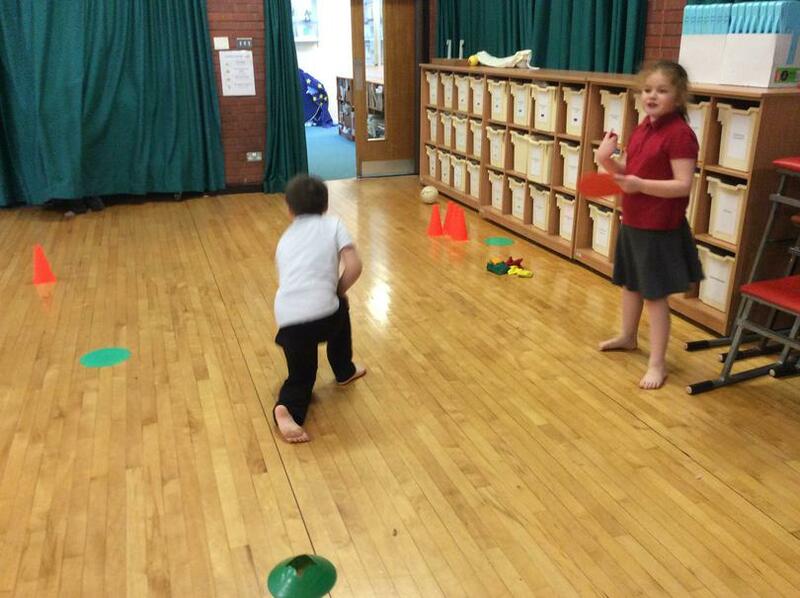 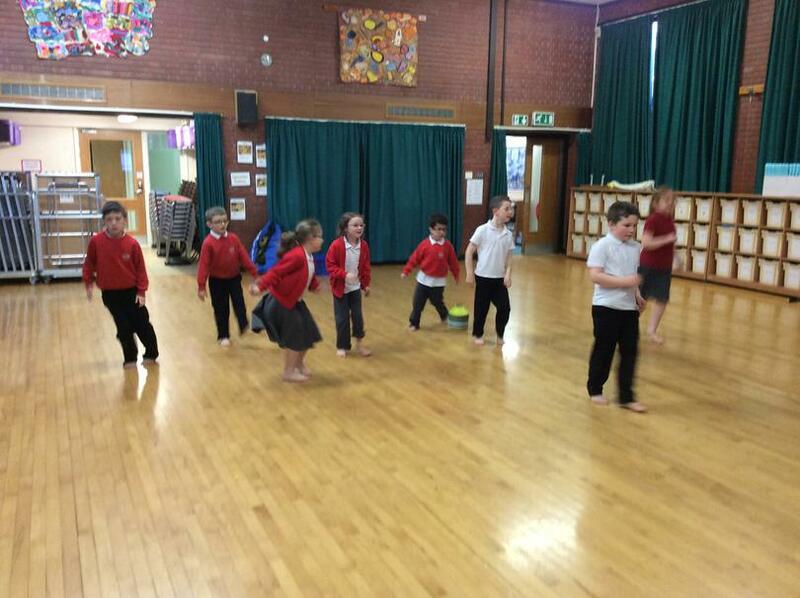 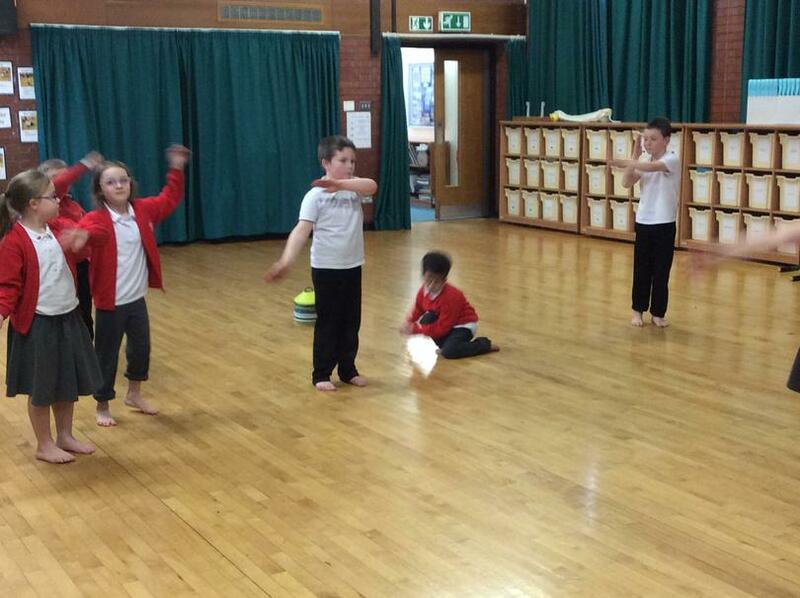 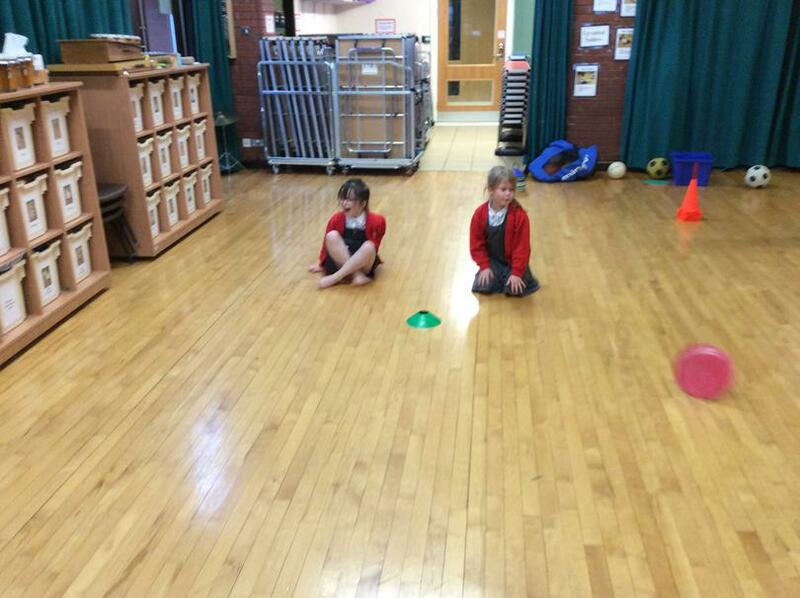 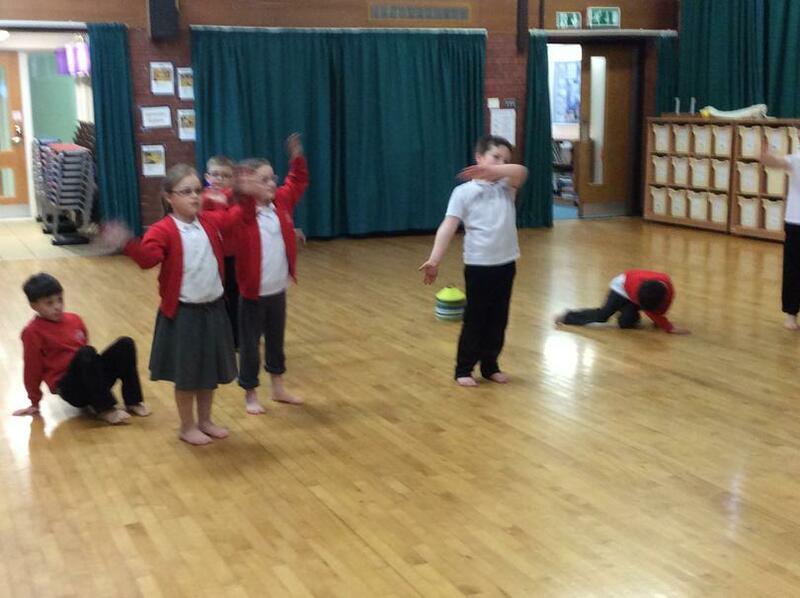 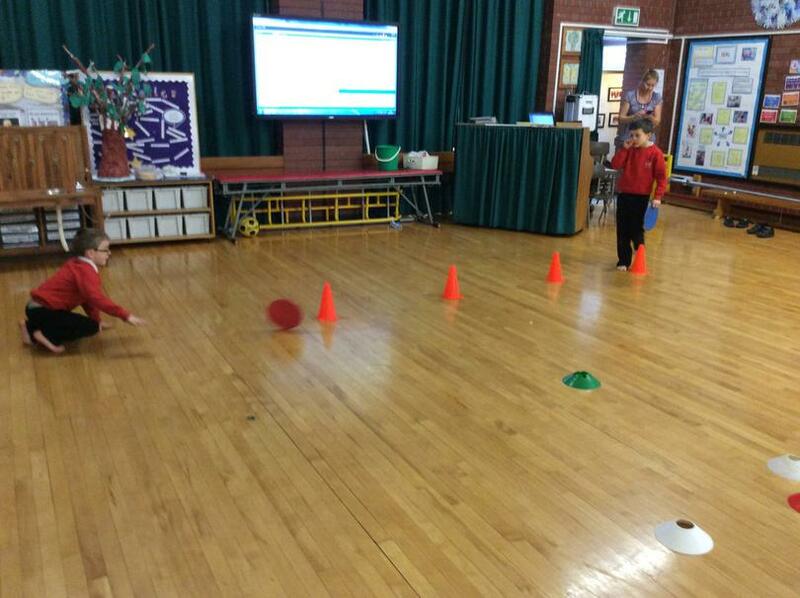 They get to demonstrate the game they have devised in order for the other children to participate in and have a go. 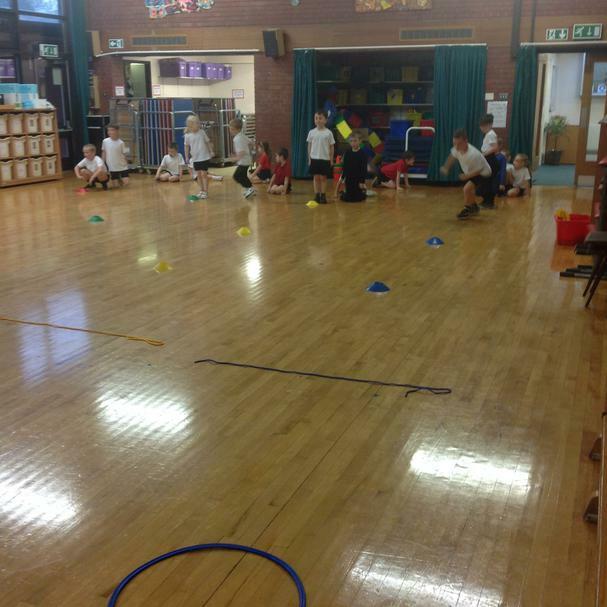 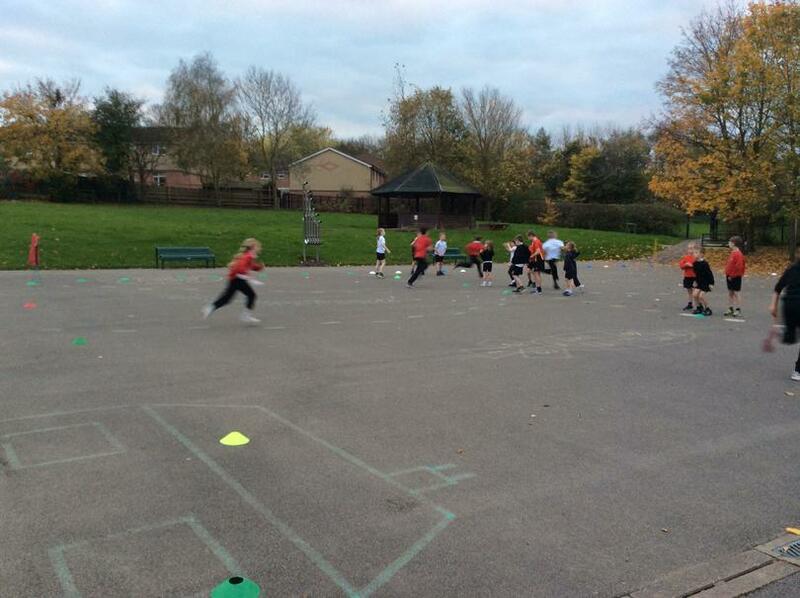 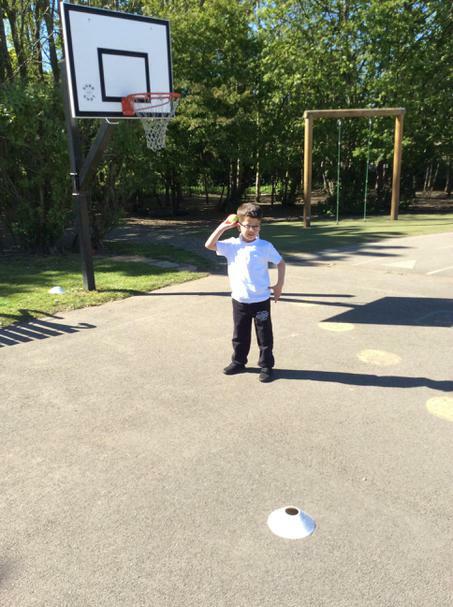 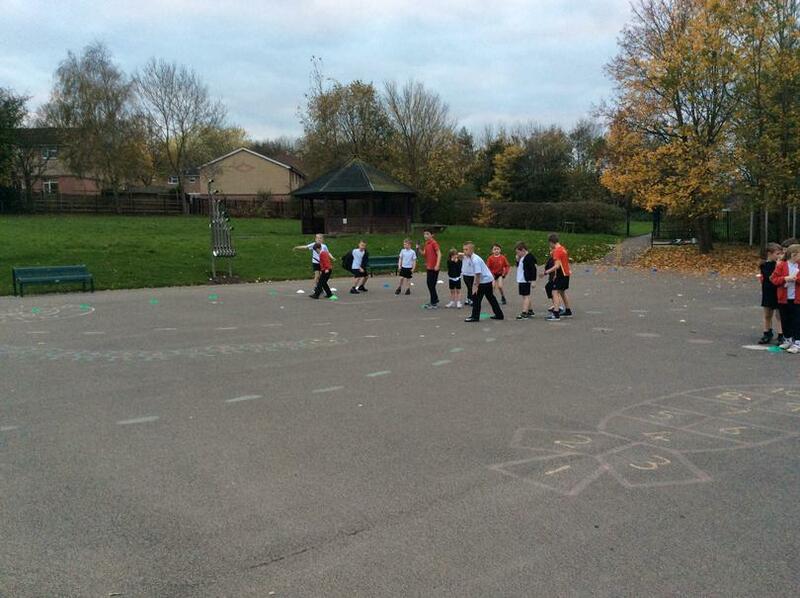 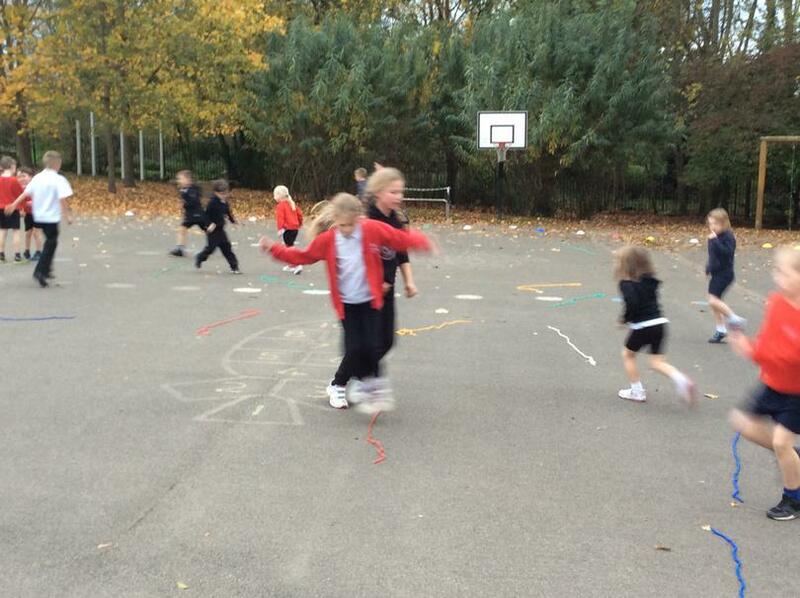 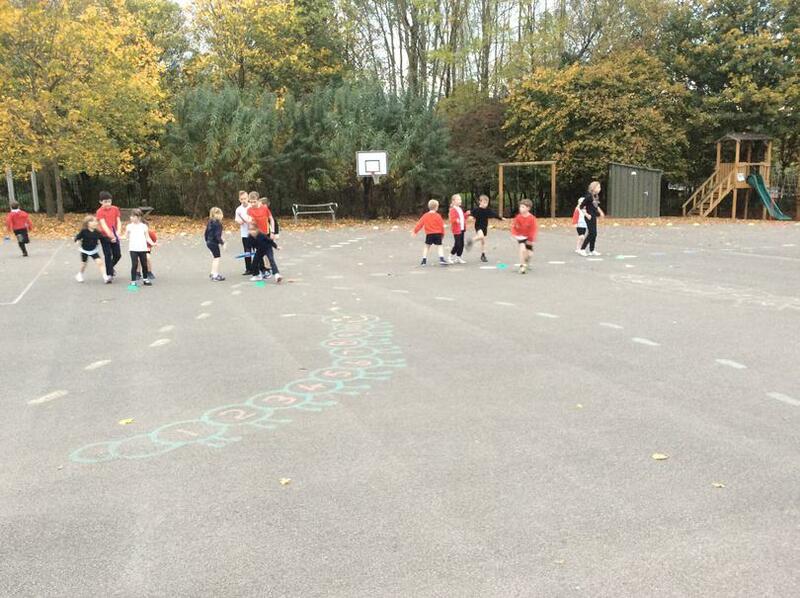 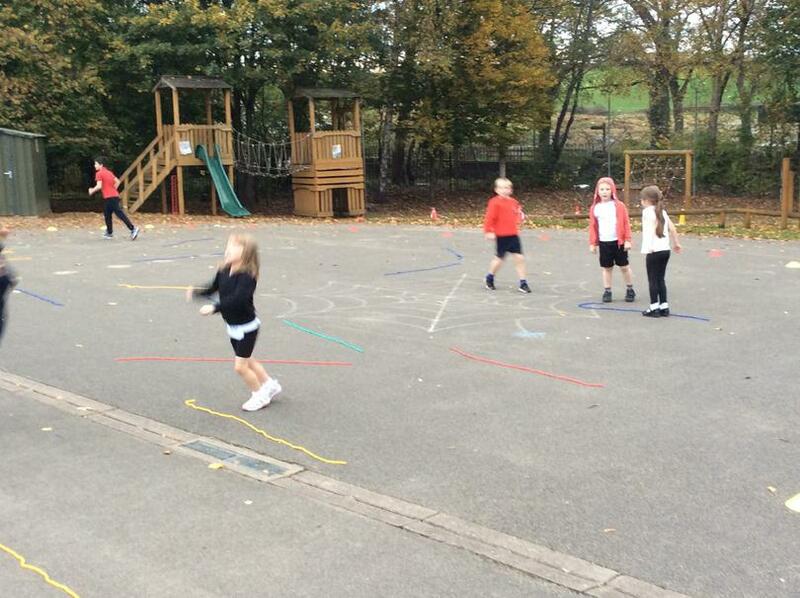 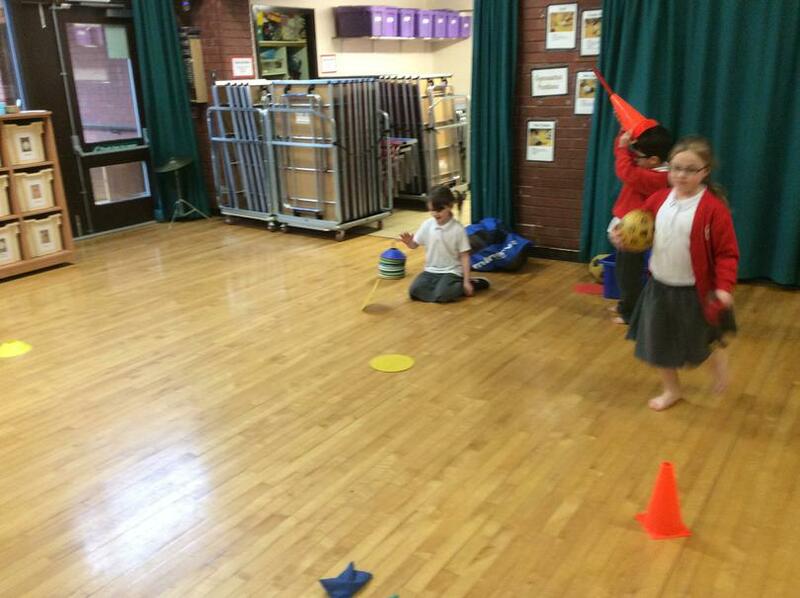 The children are very imaginative and created some wonderful new sporting games. 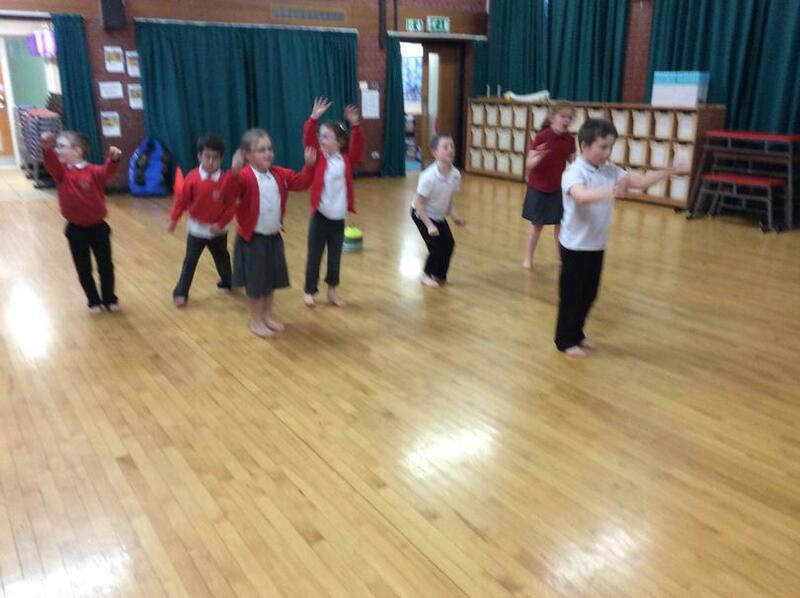 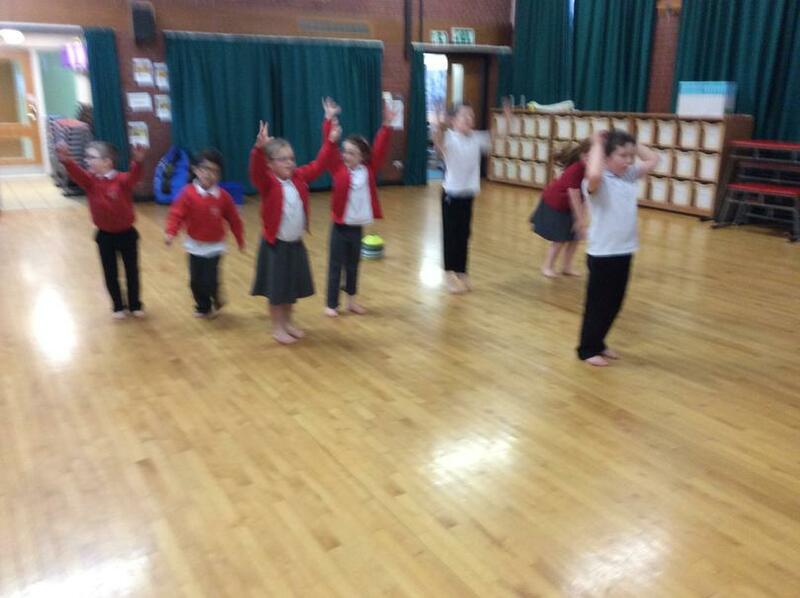 Well done to all the children for some great work in Jumping Jacks. 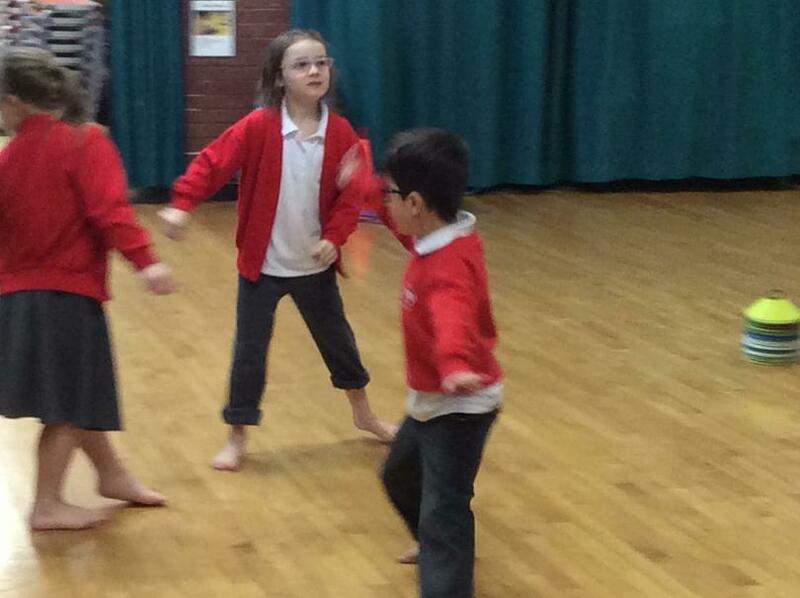 Take a look at some of our wonderful photos from Jumping Jacks. 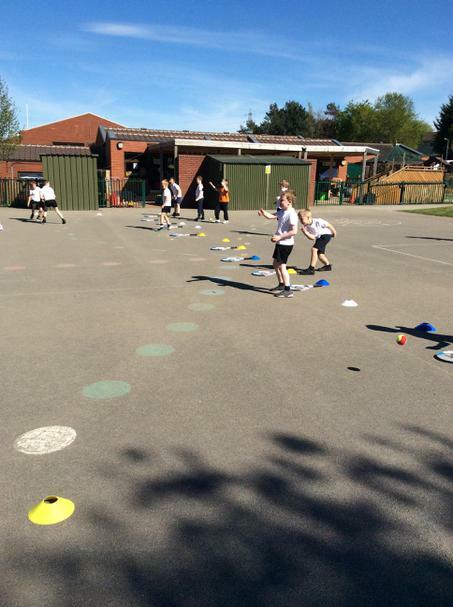 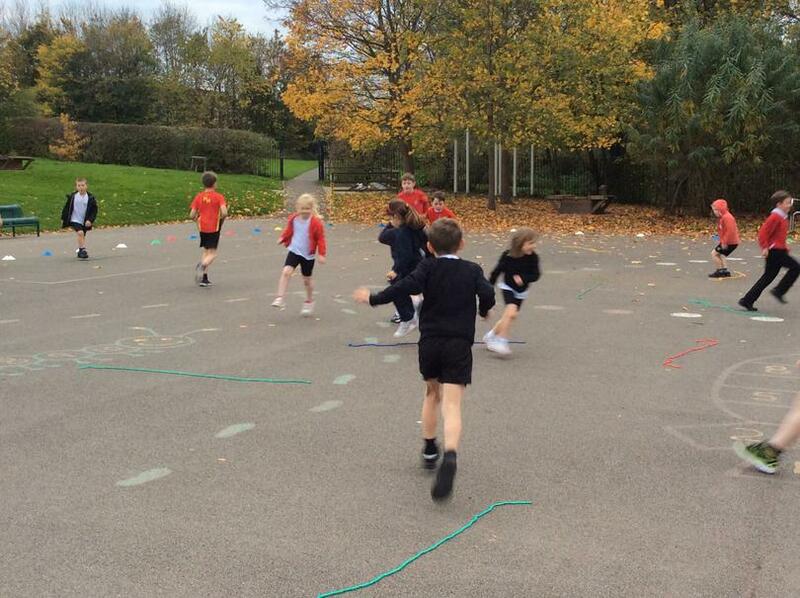 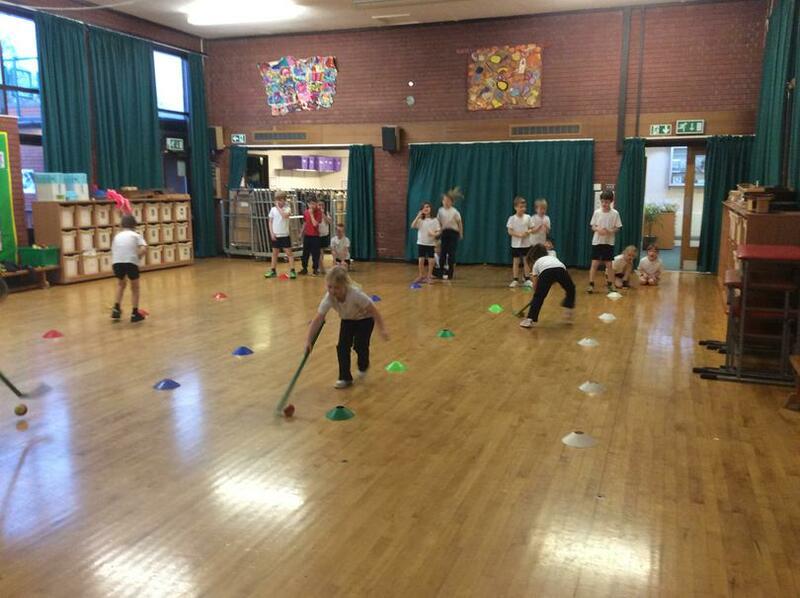 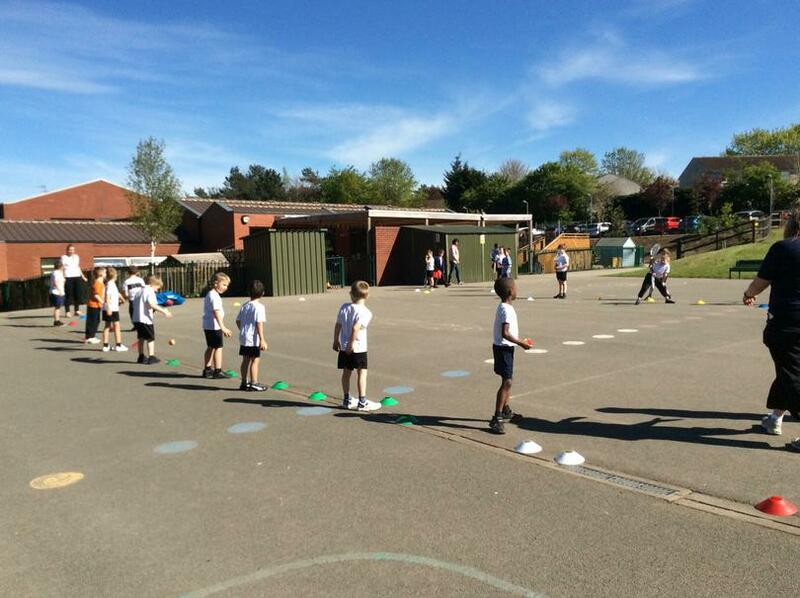 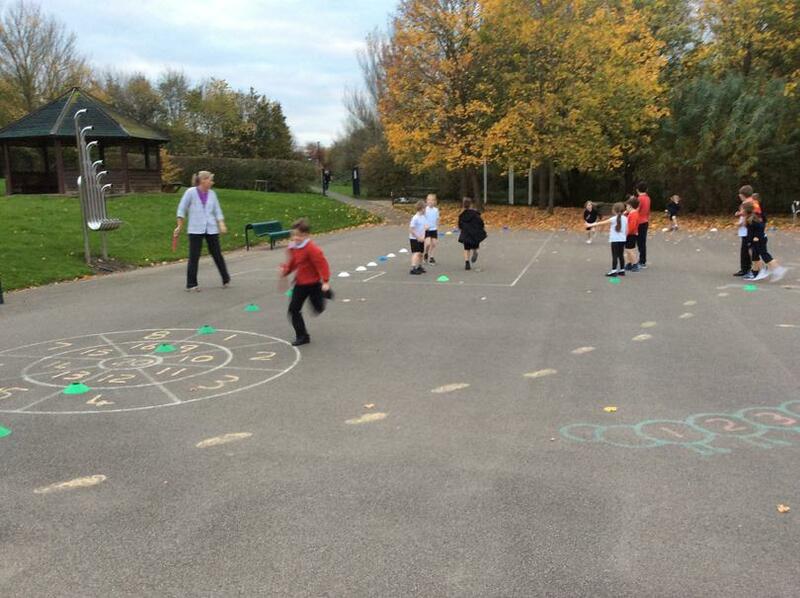 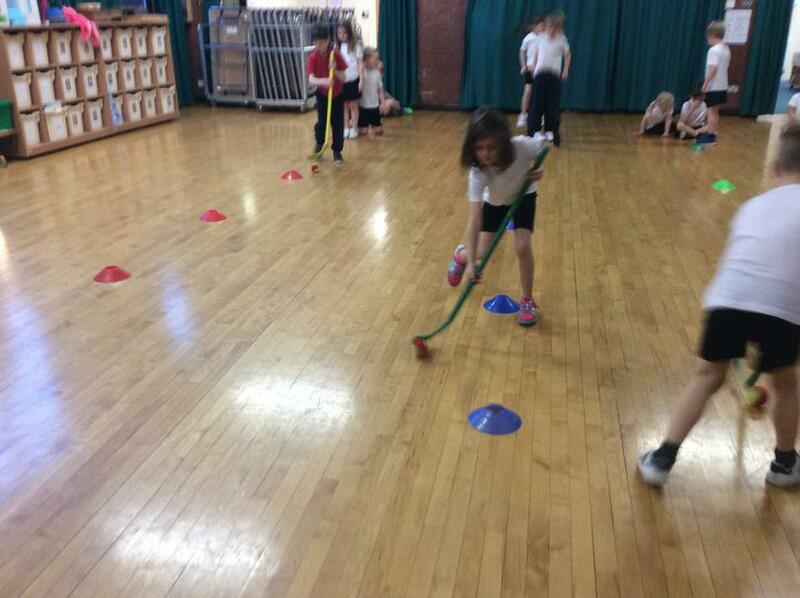 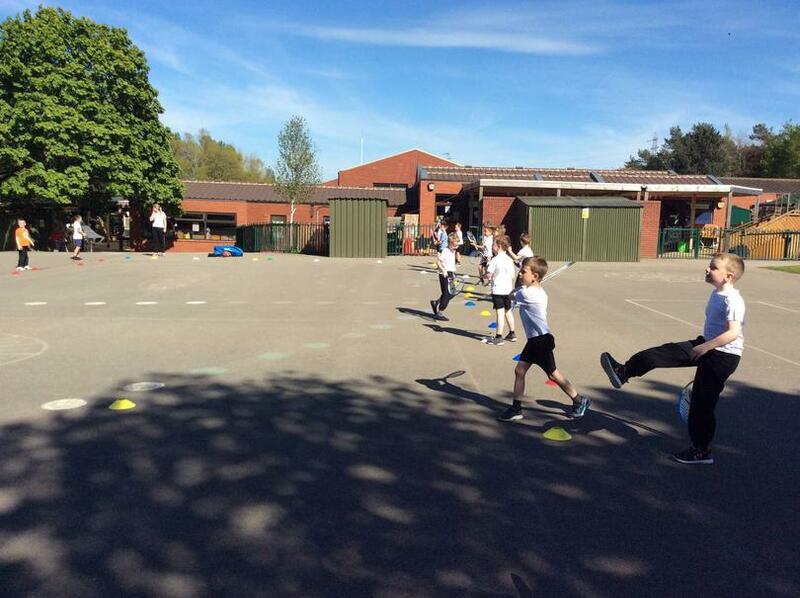 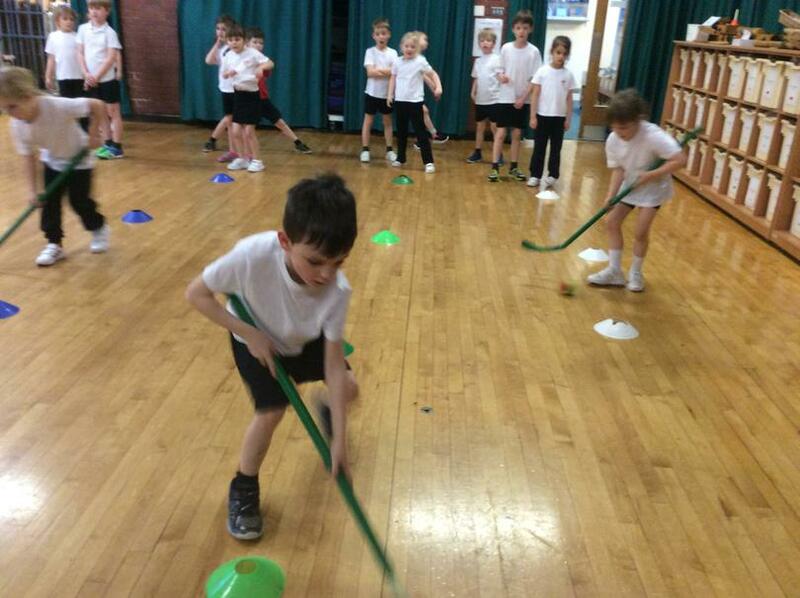 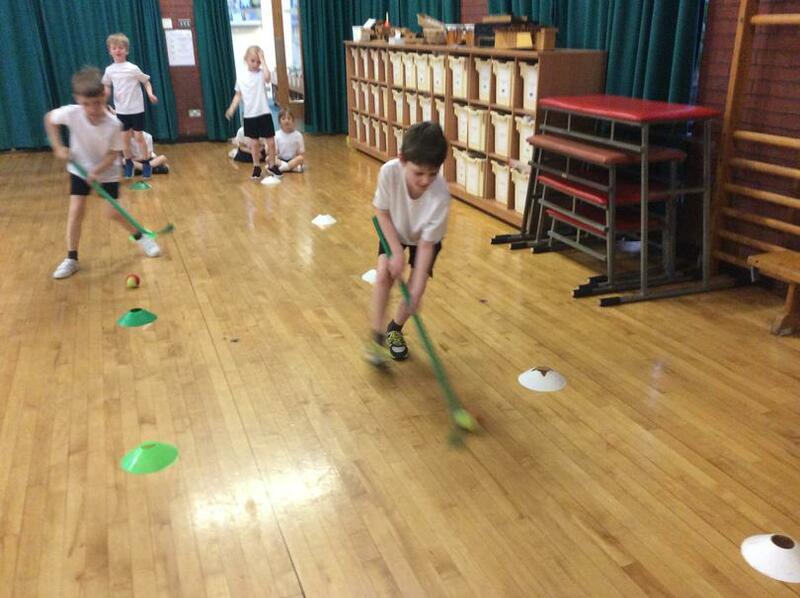 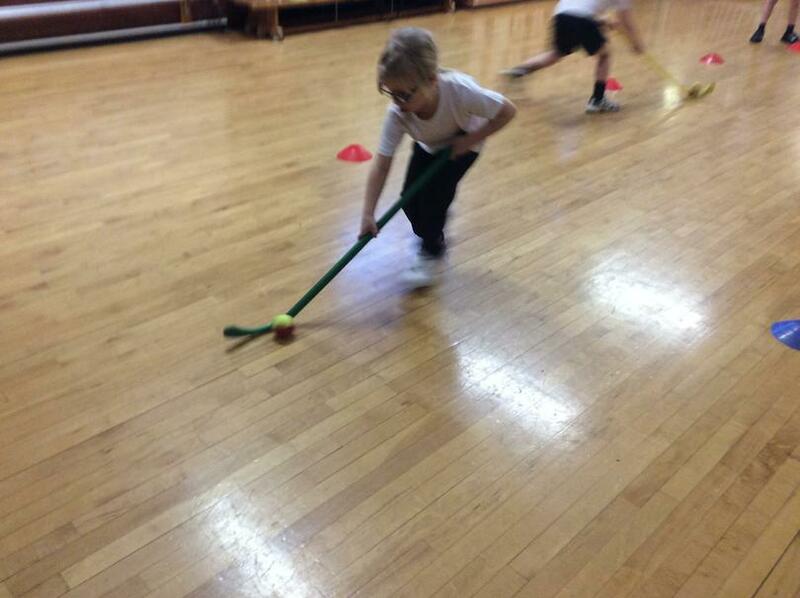 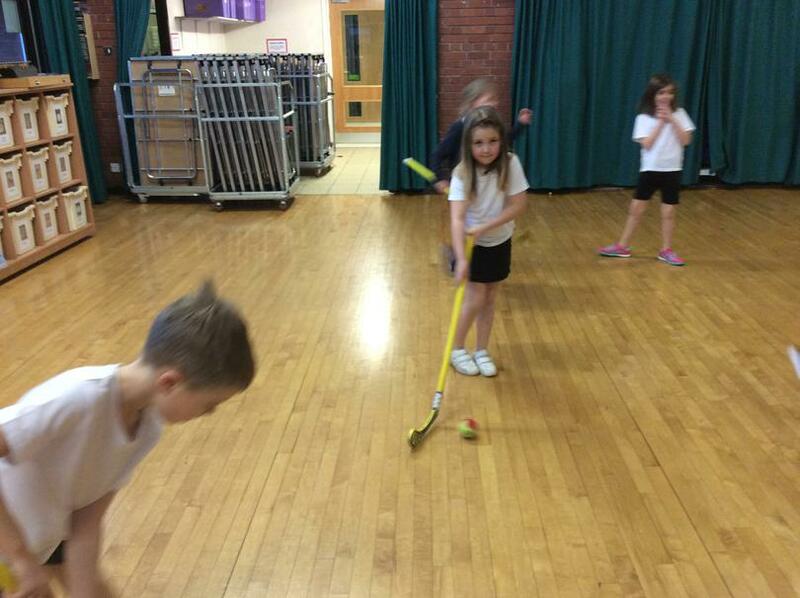 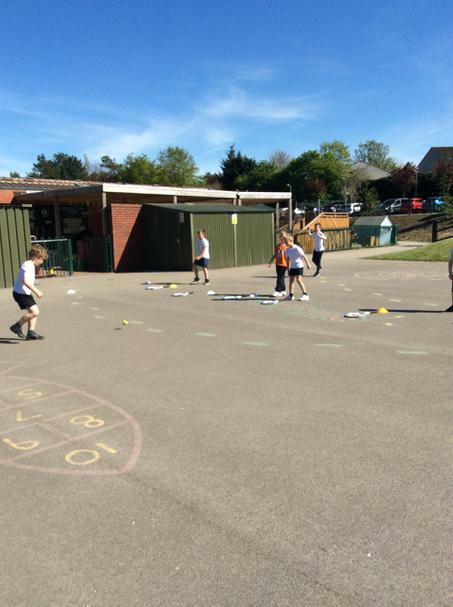 Children from Year two are enjoying learning new skills, playing games and learning to work as a team during Hockey Club. 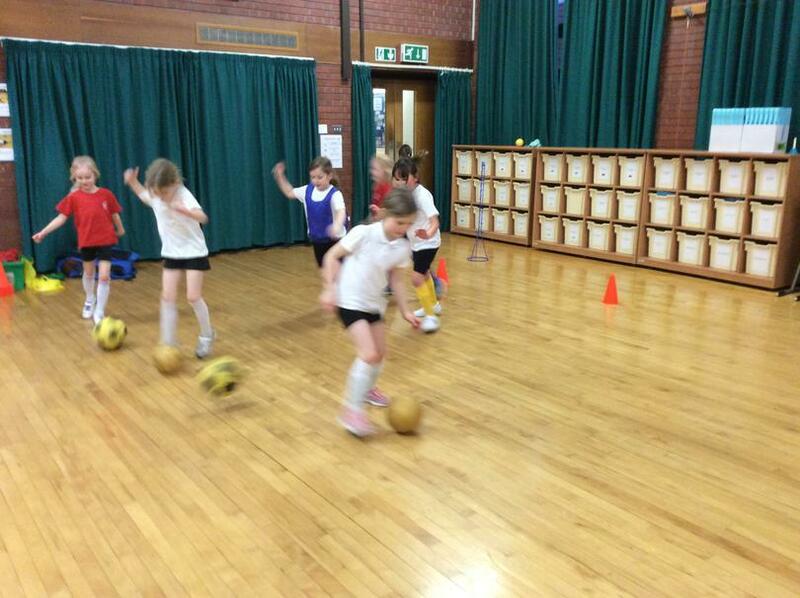 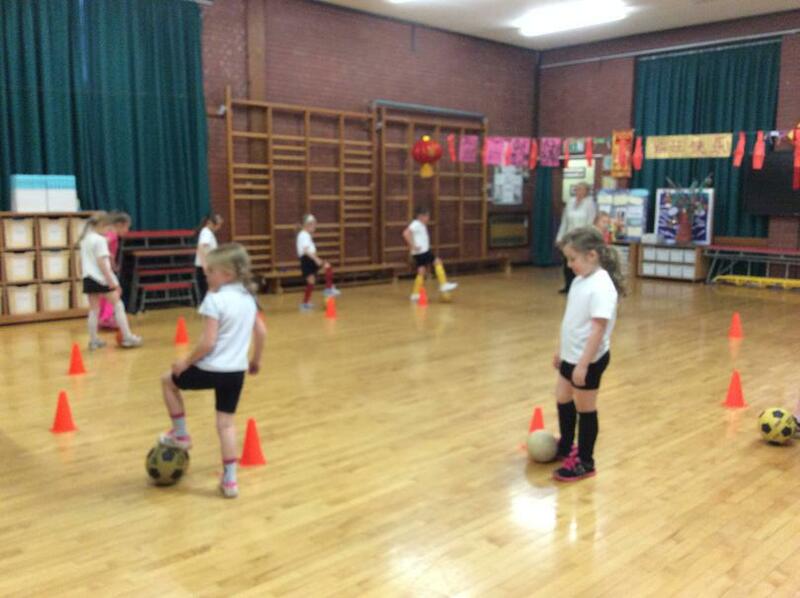 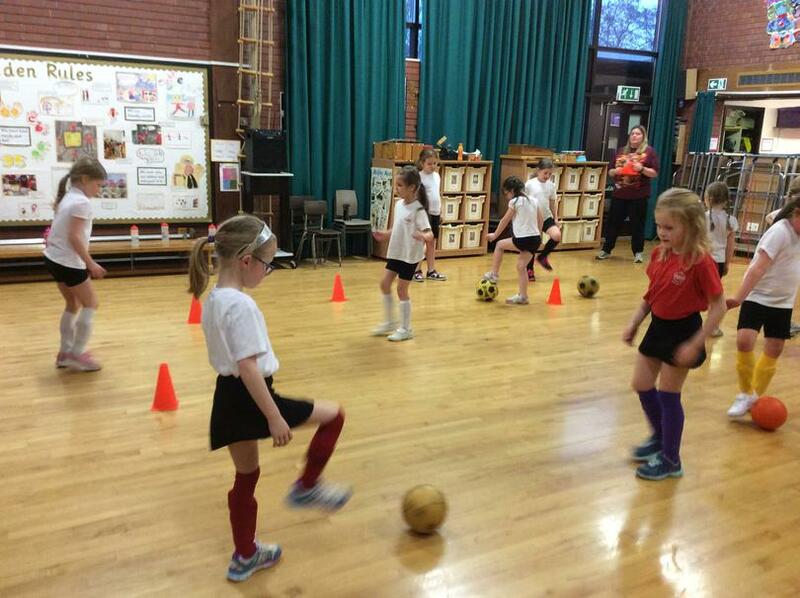 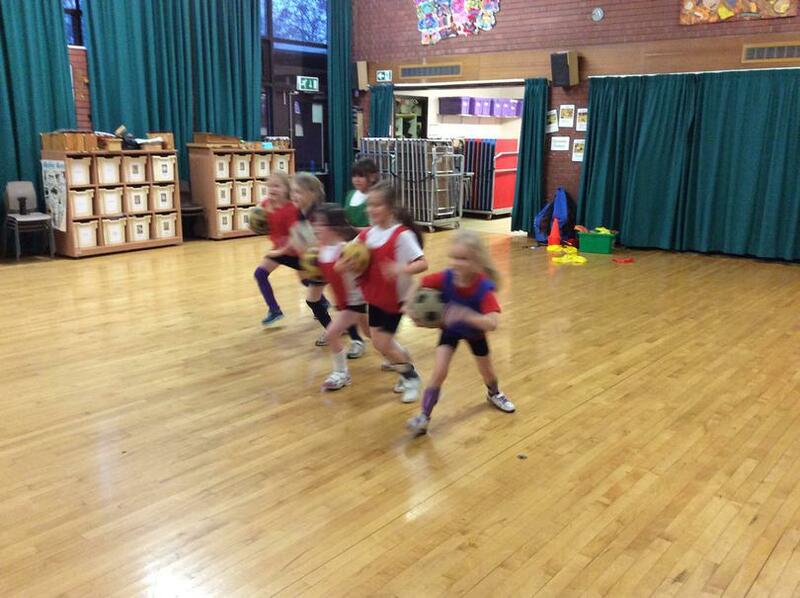 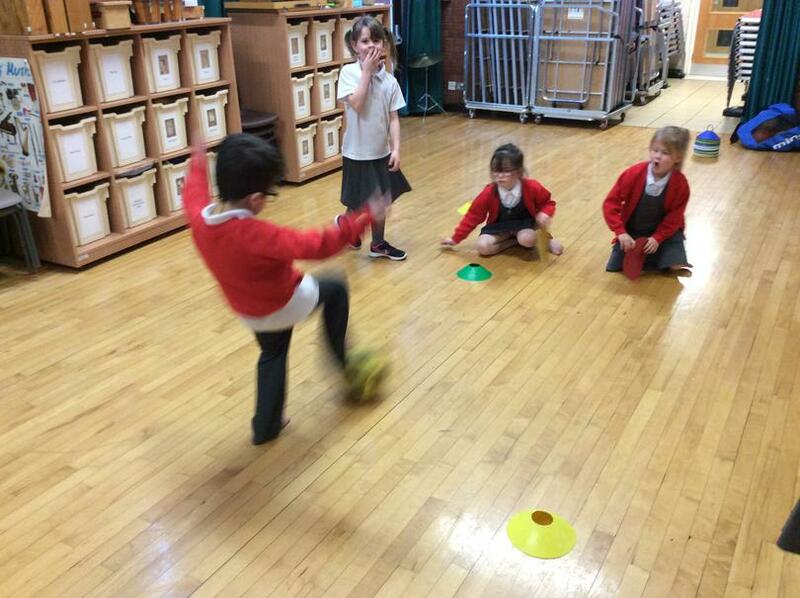 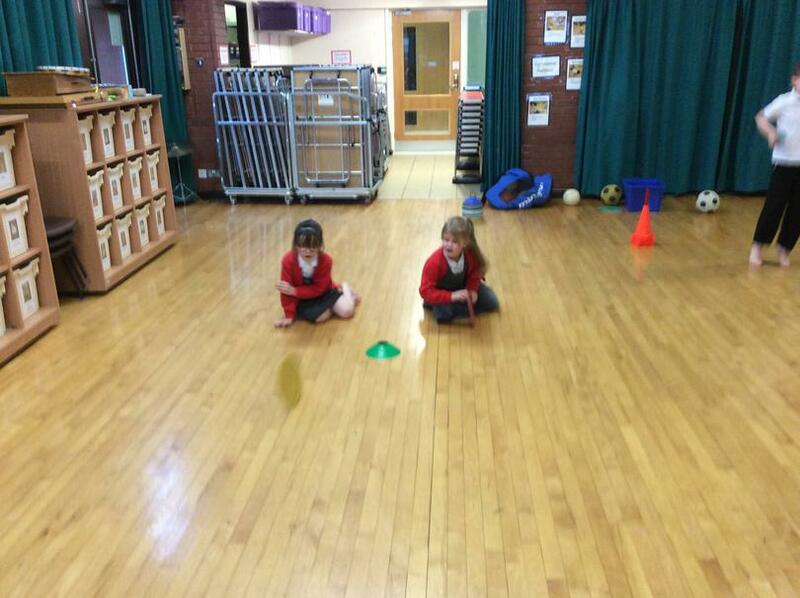 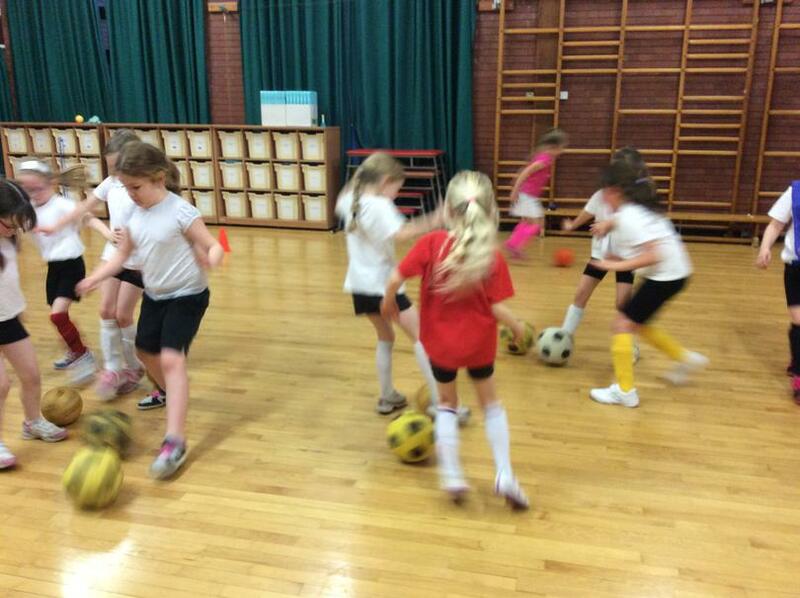 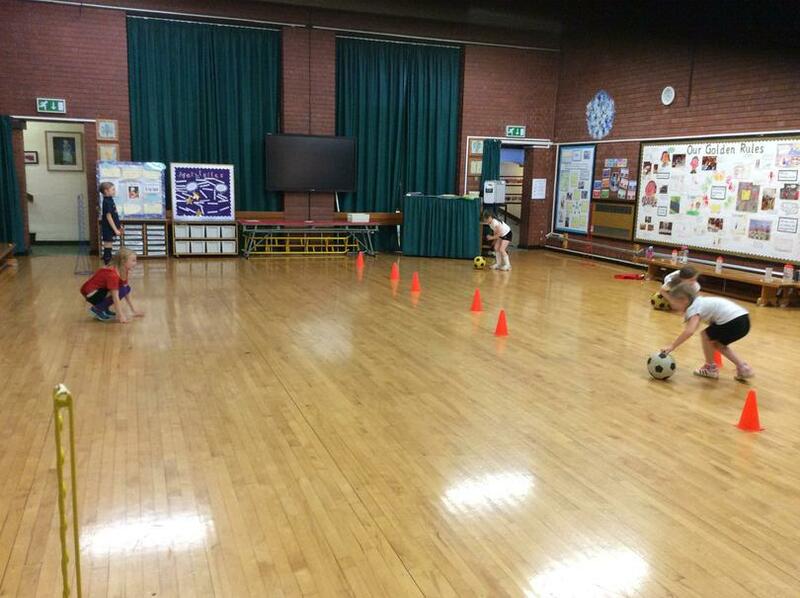 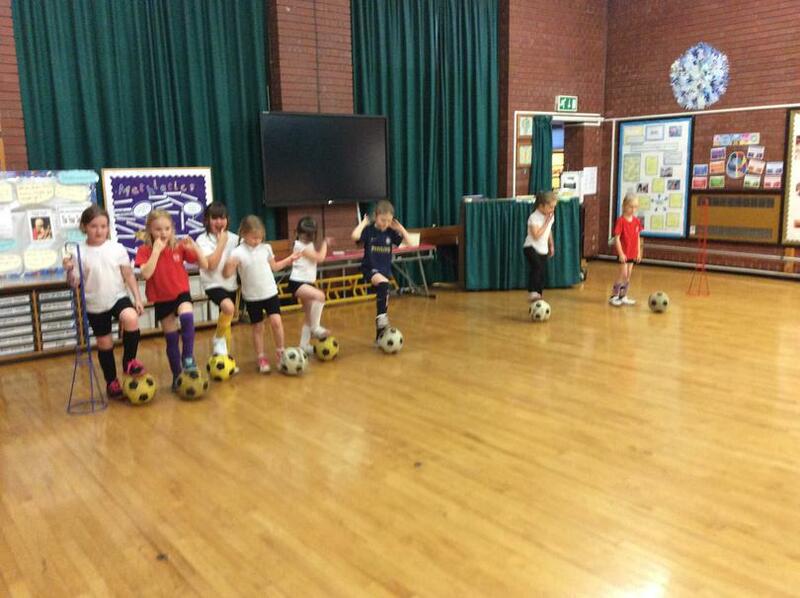 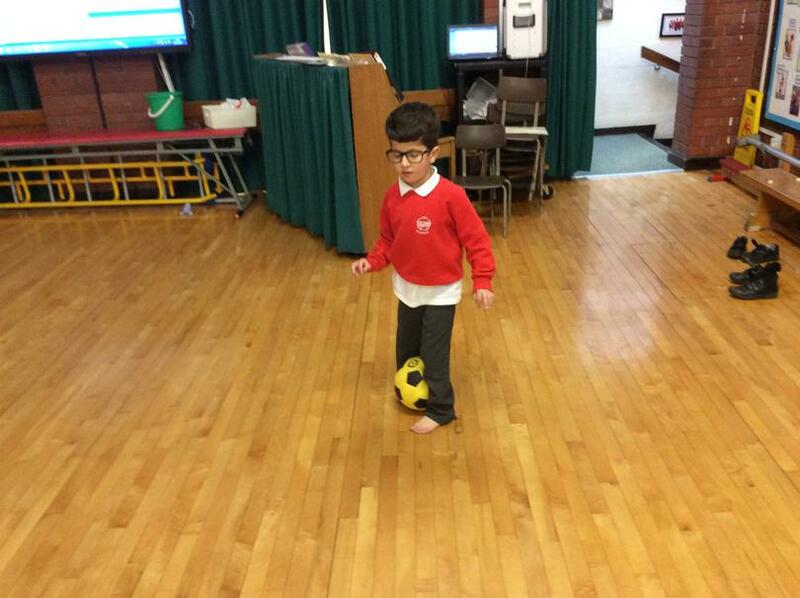 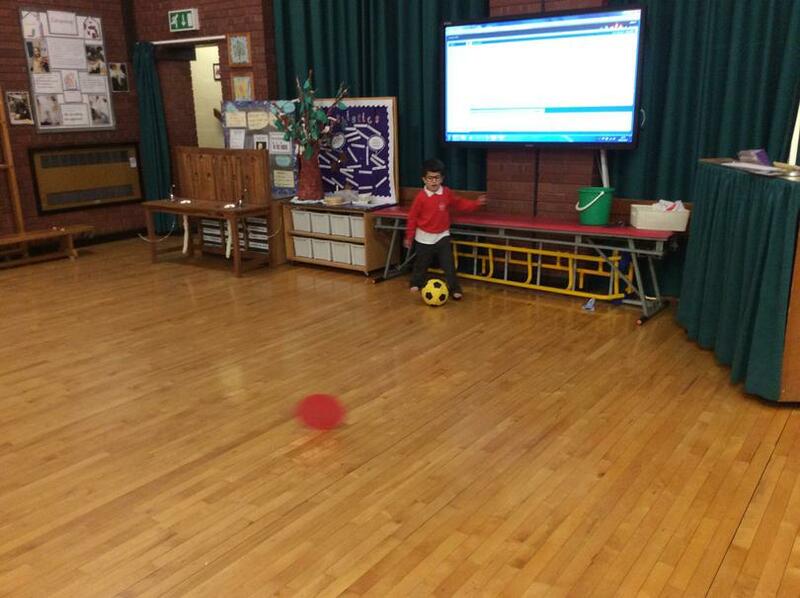 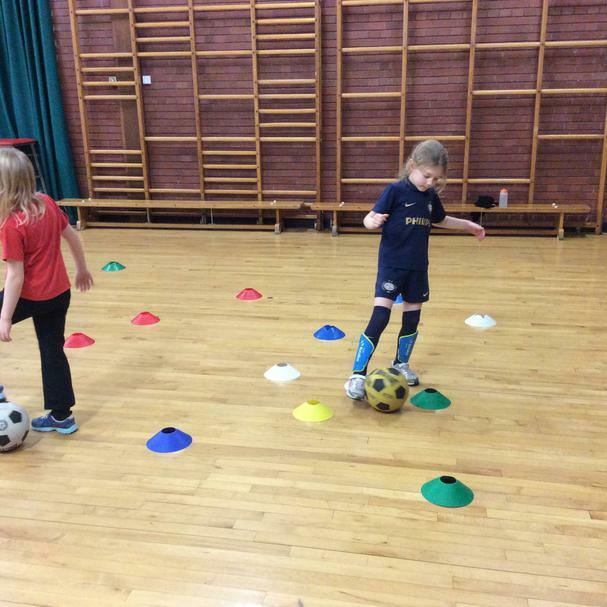 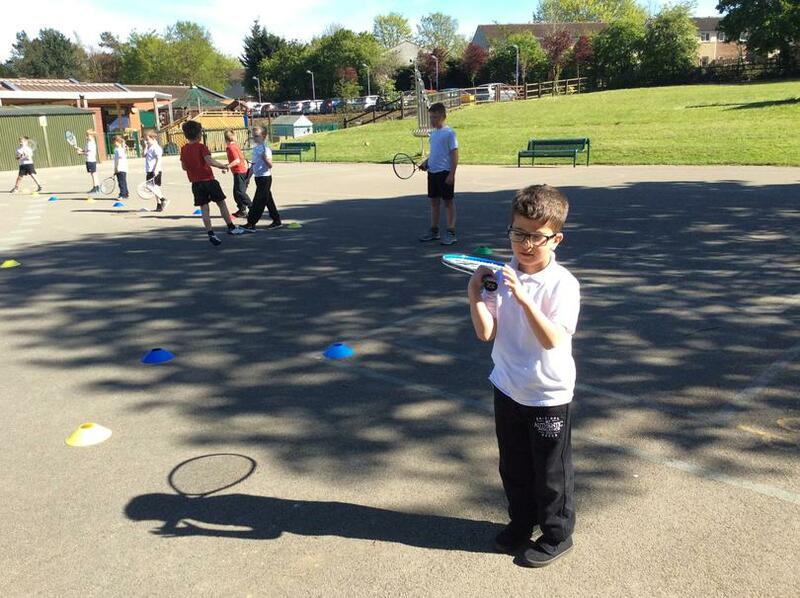 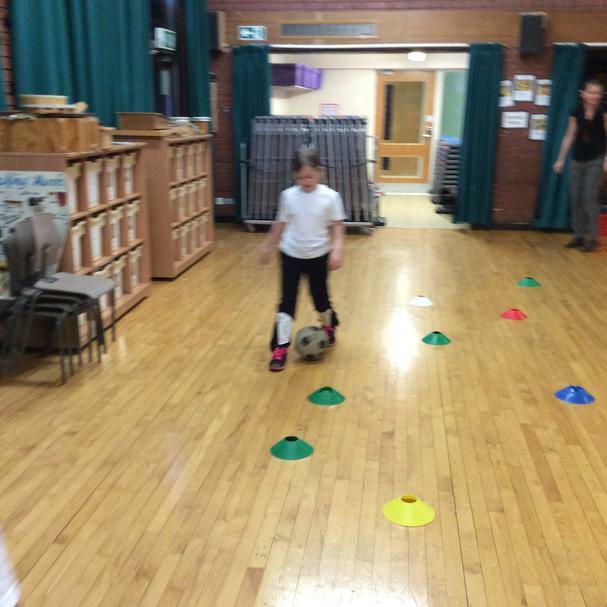 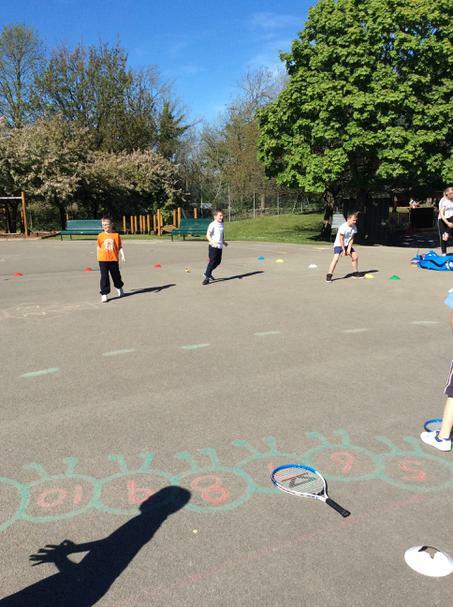 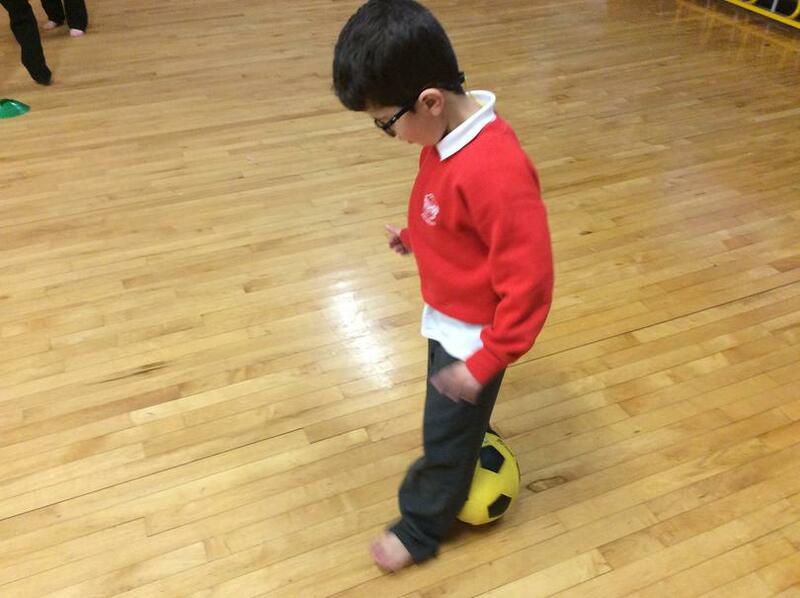 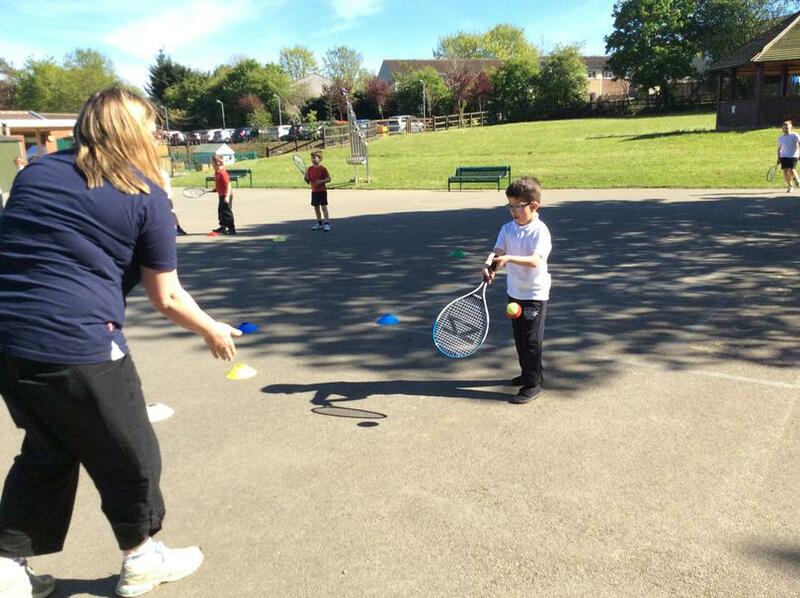 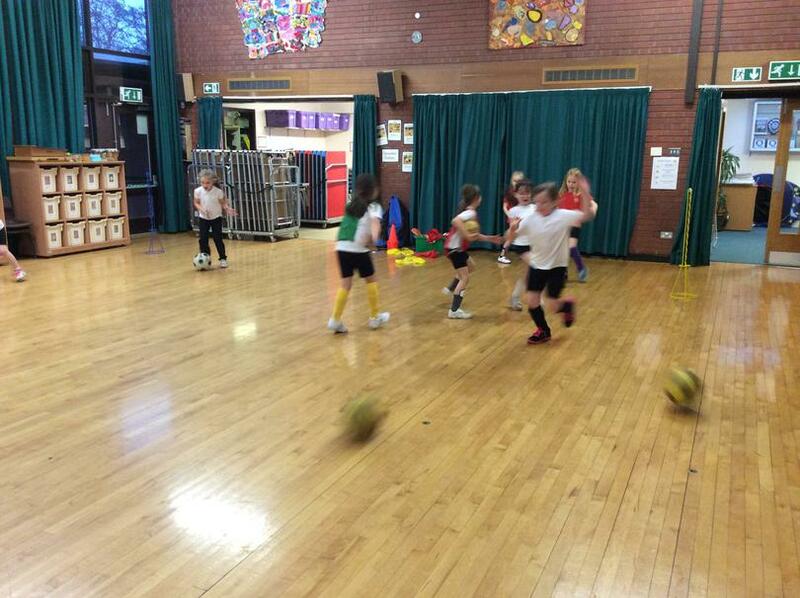 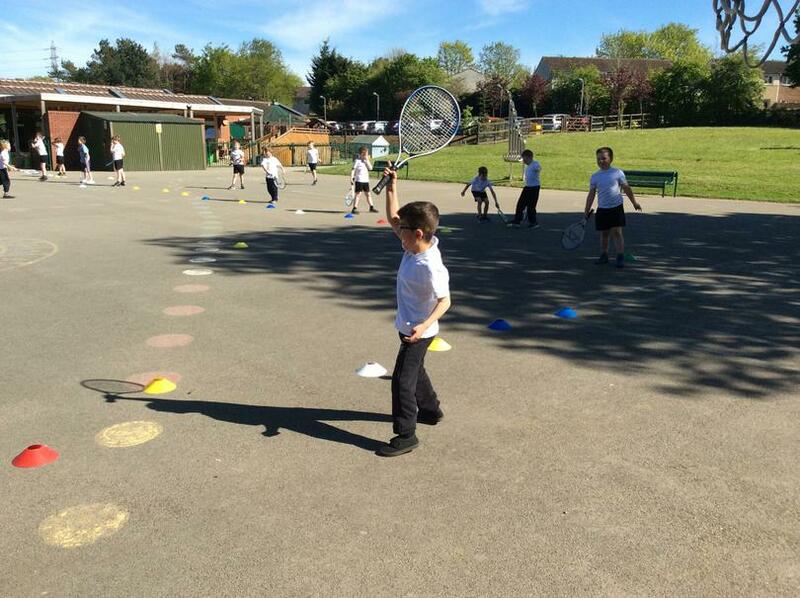 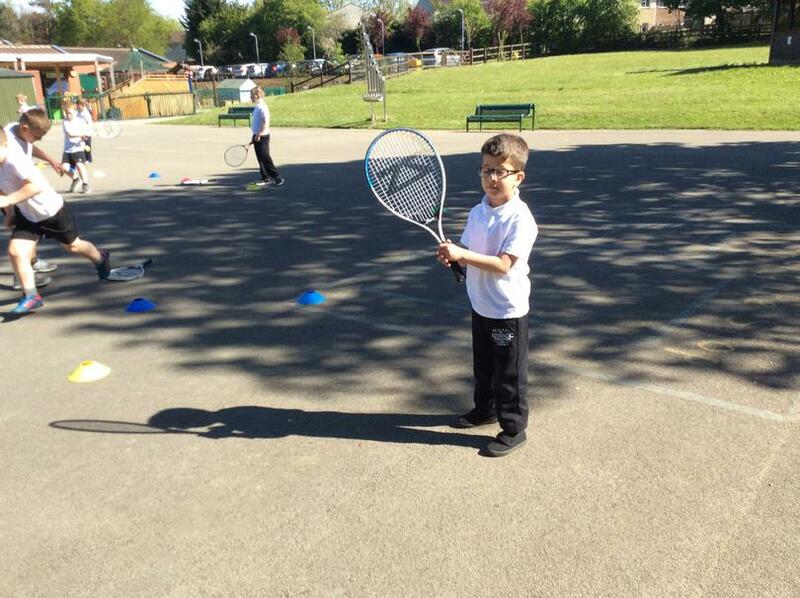 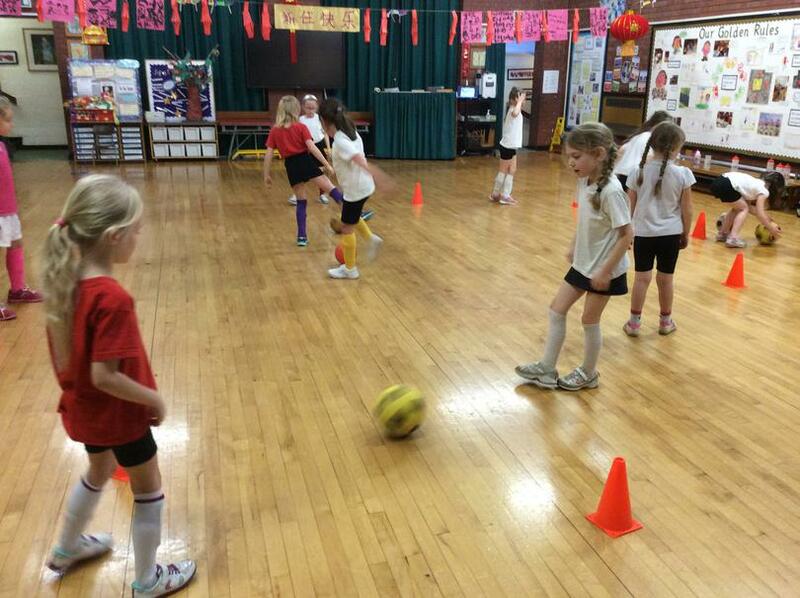 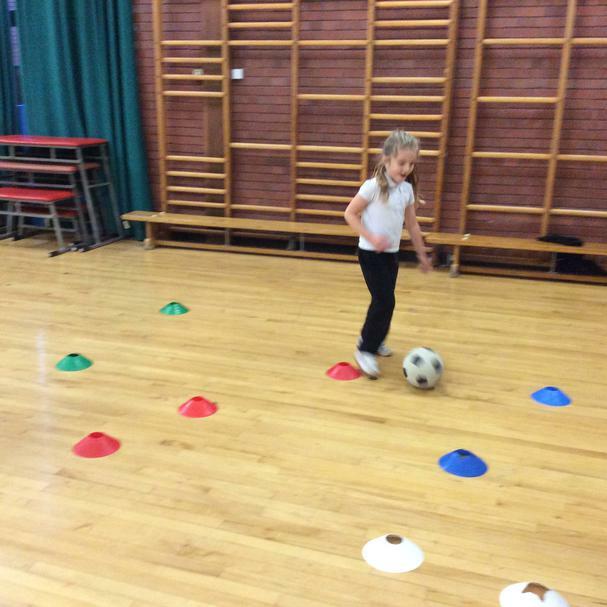 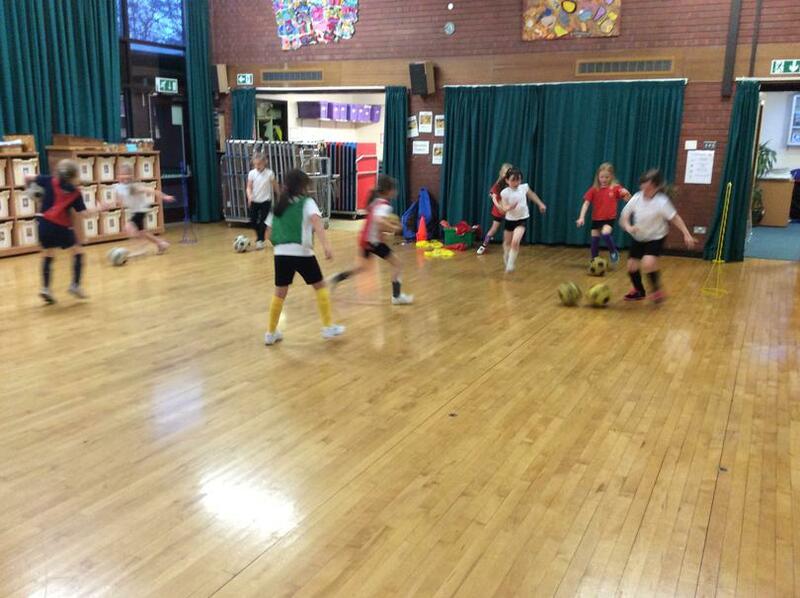 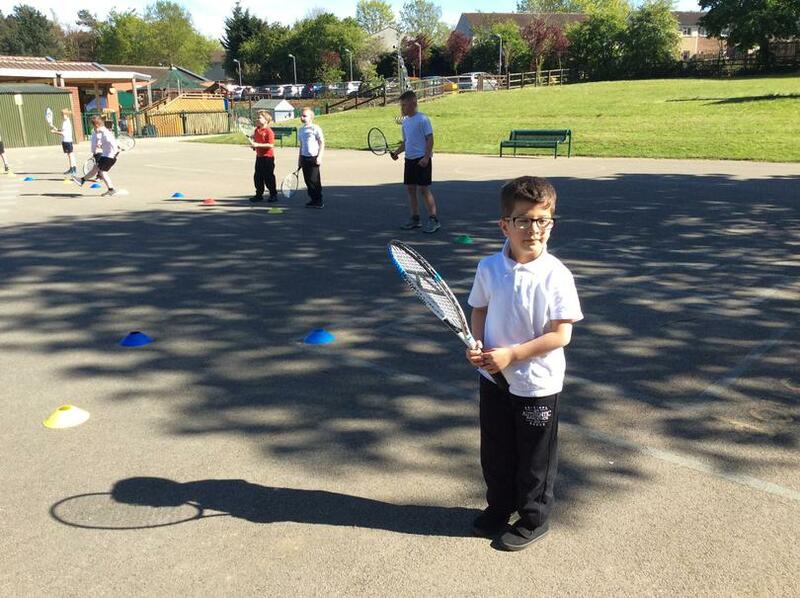 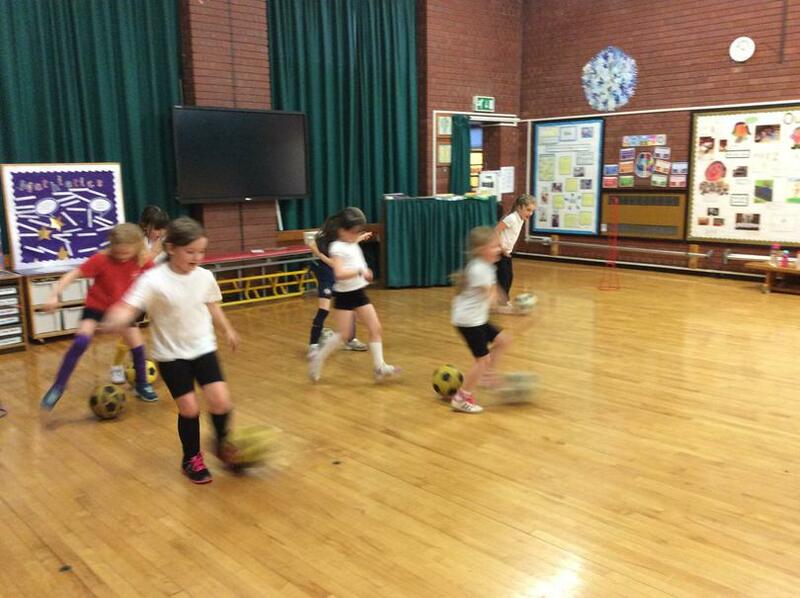 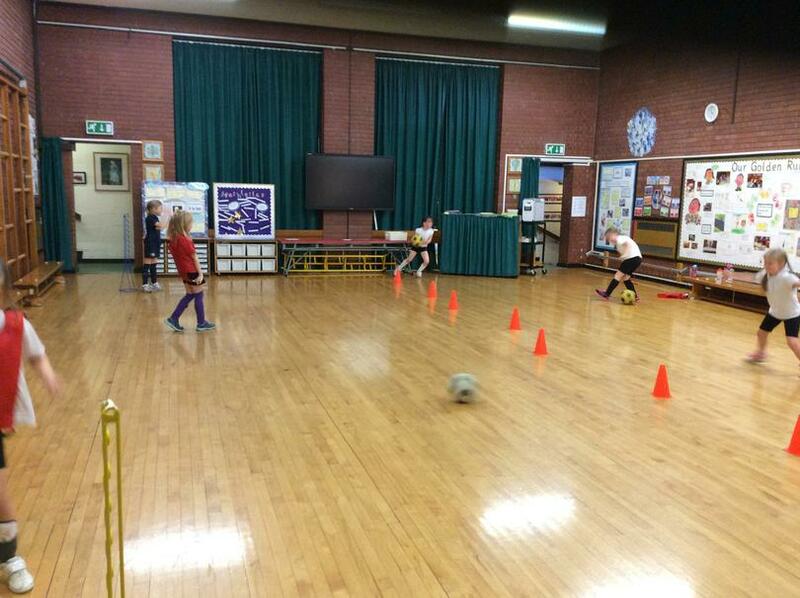 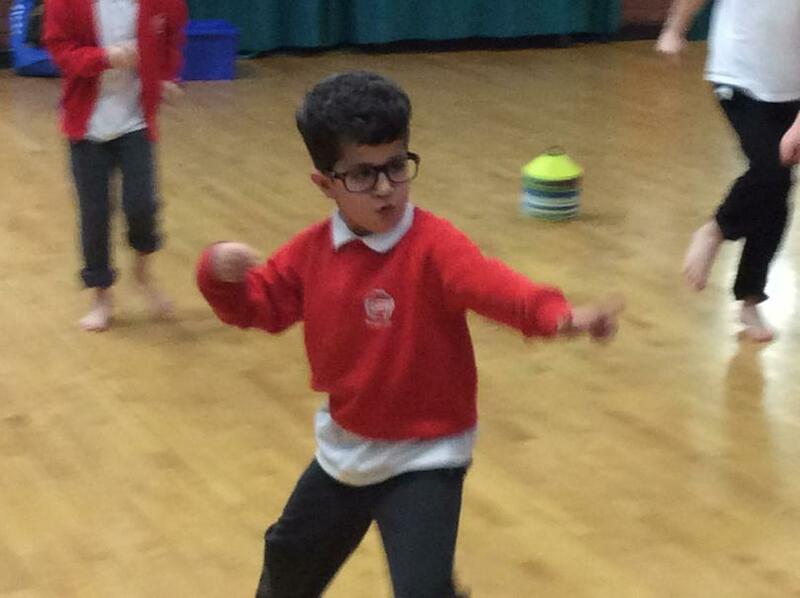 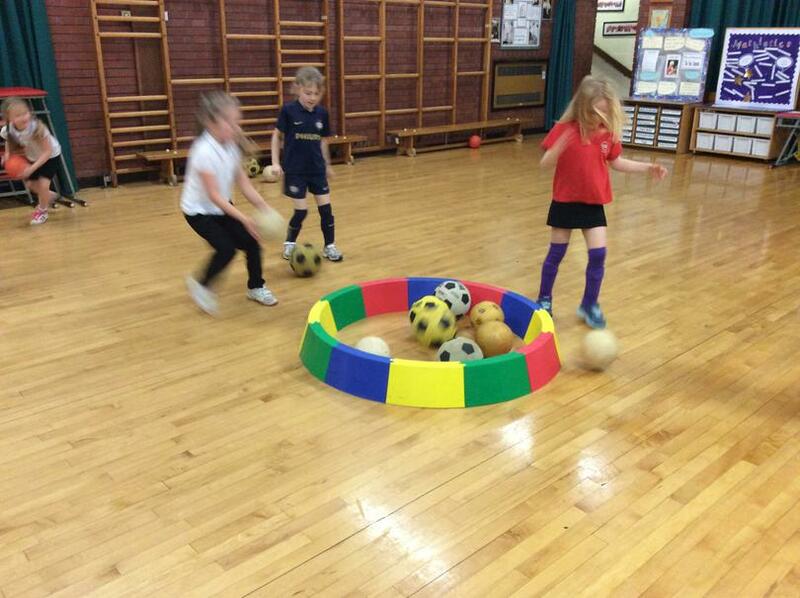 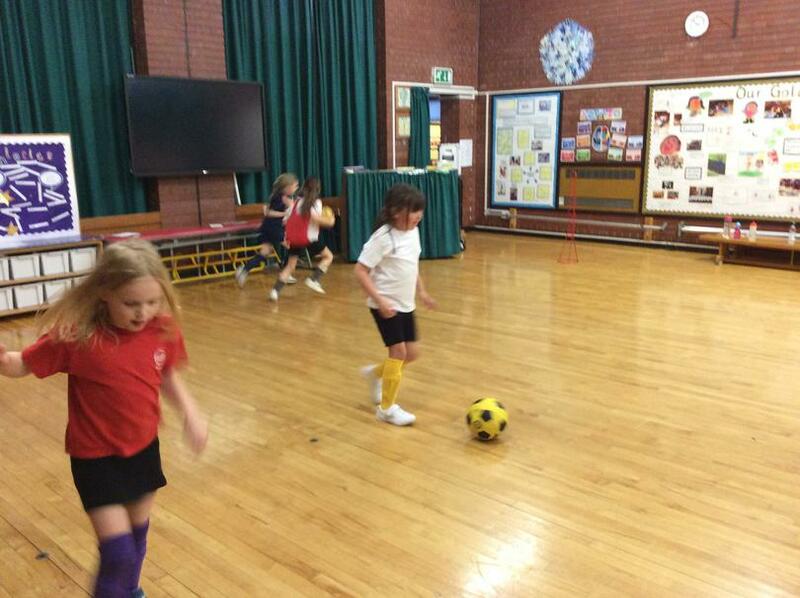 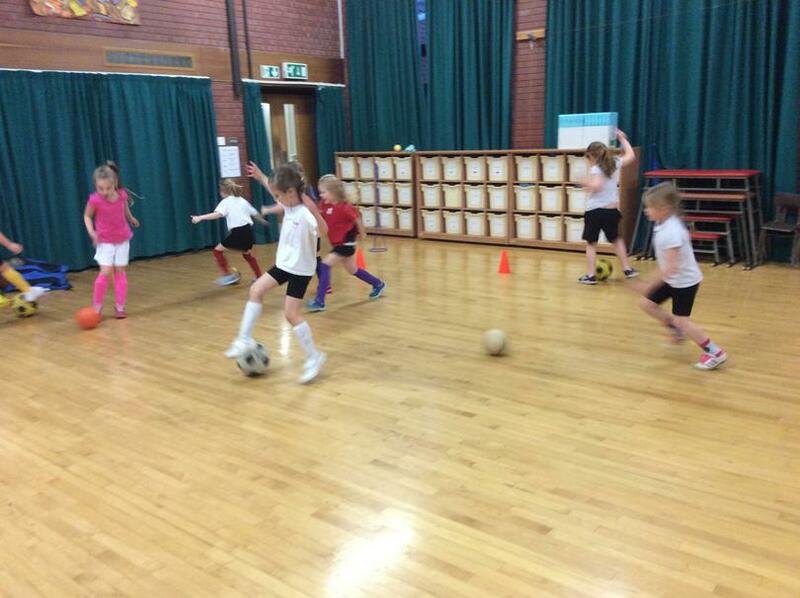 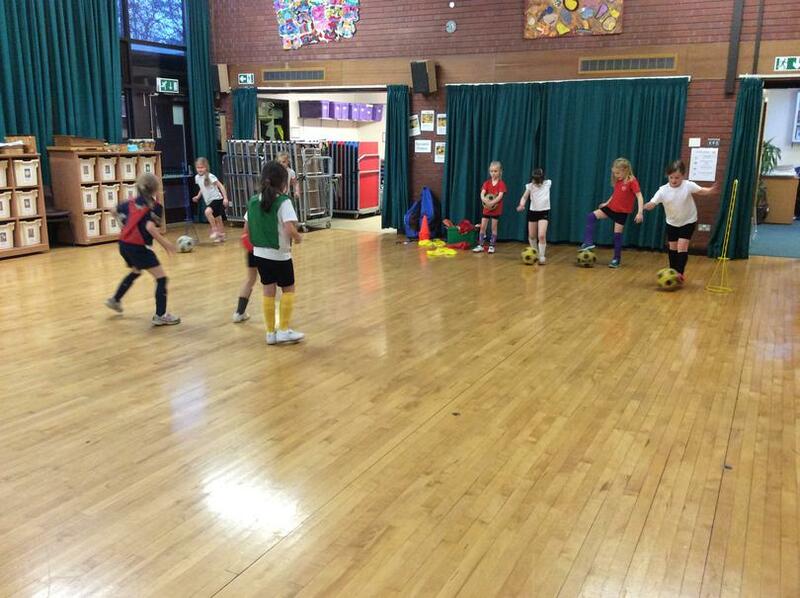 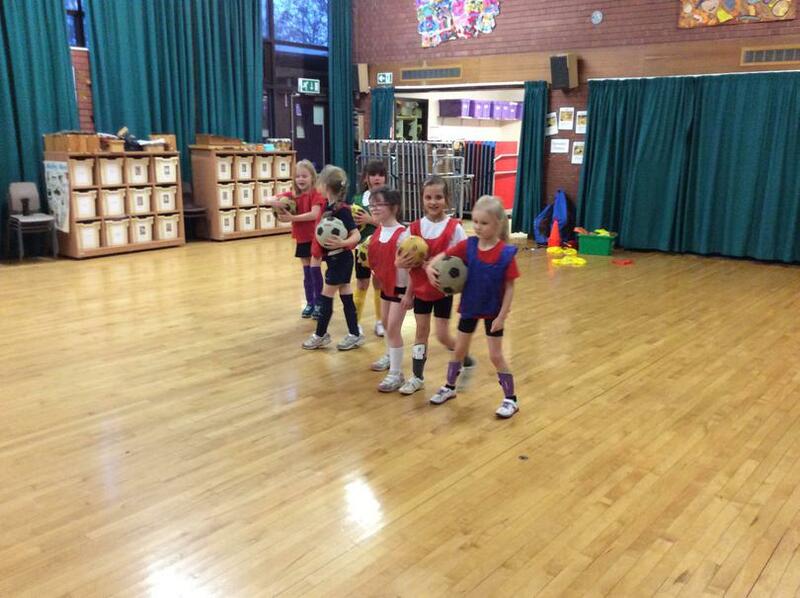 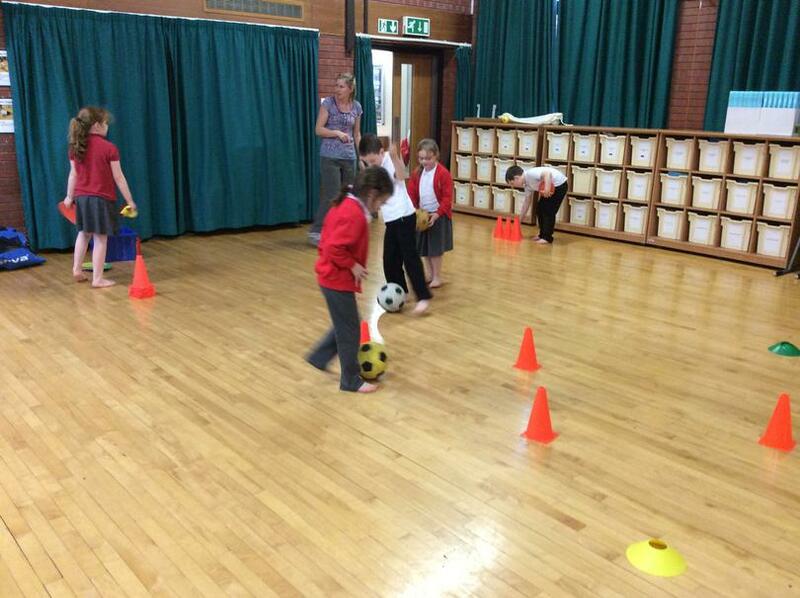 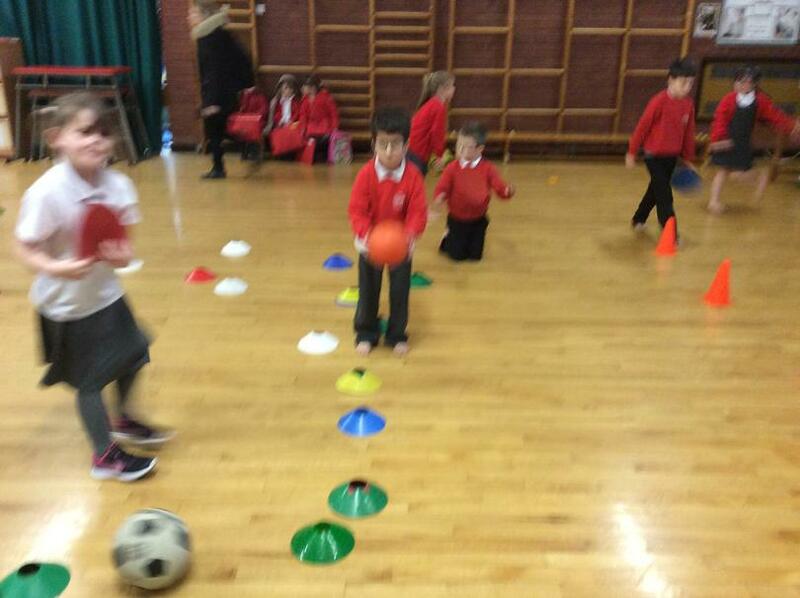 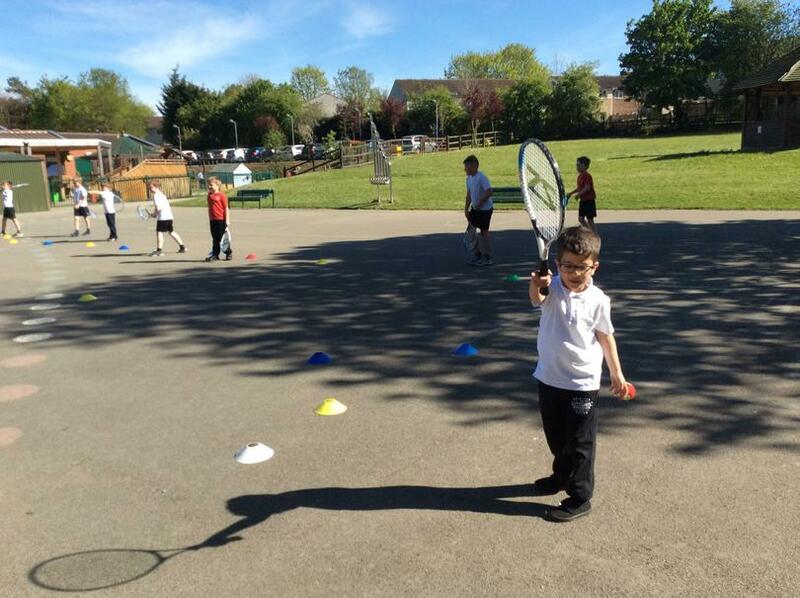 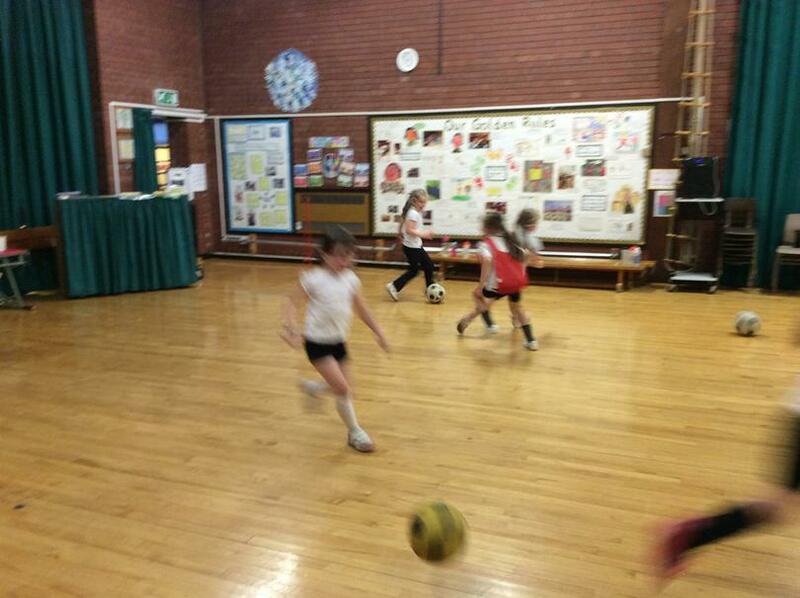 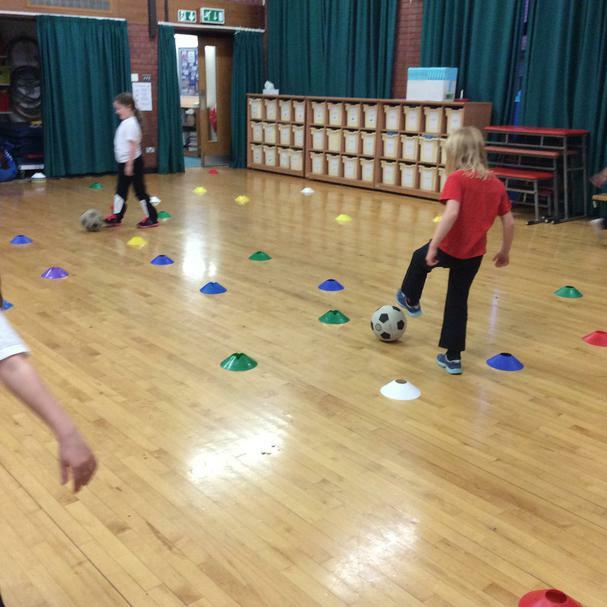 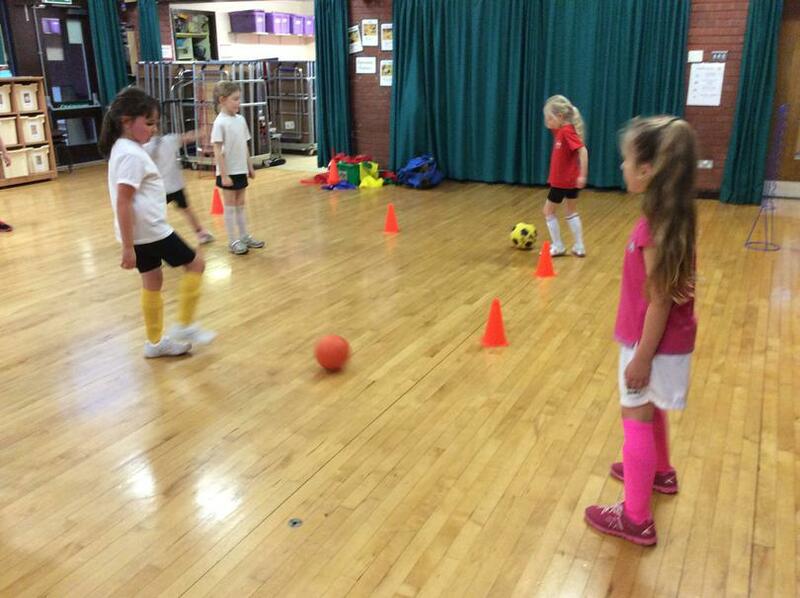 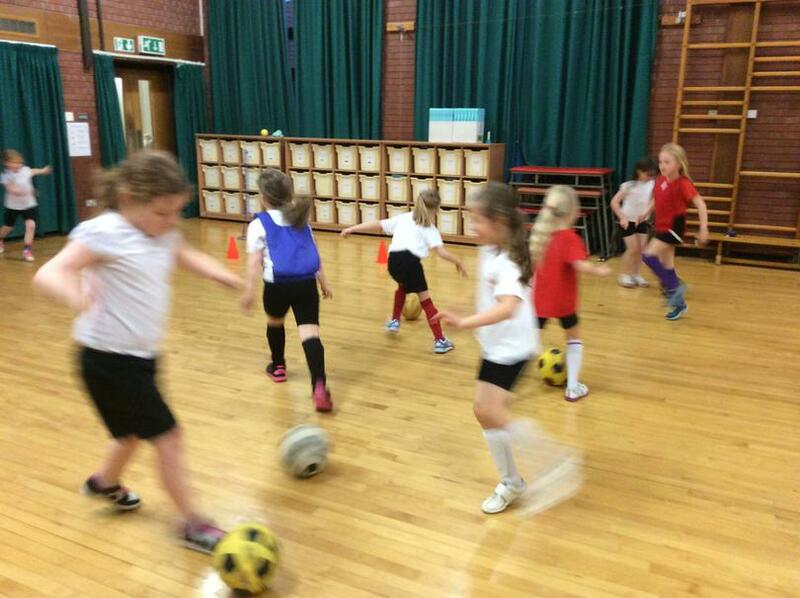 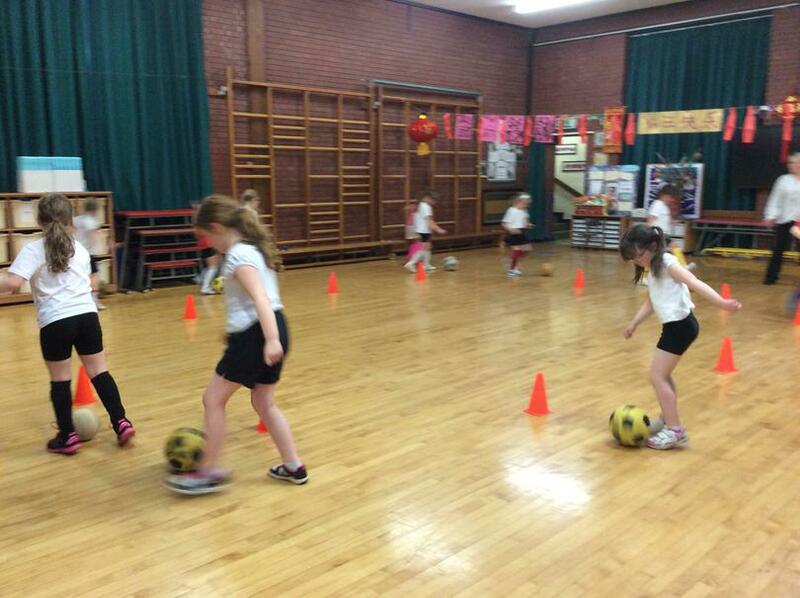 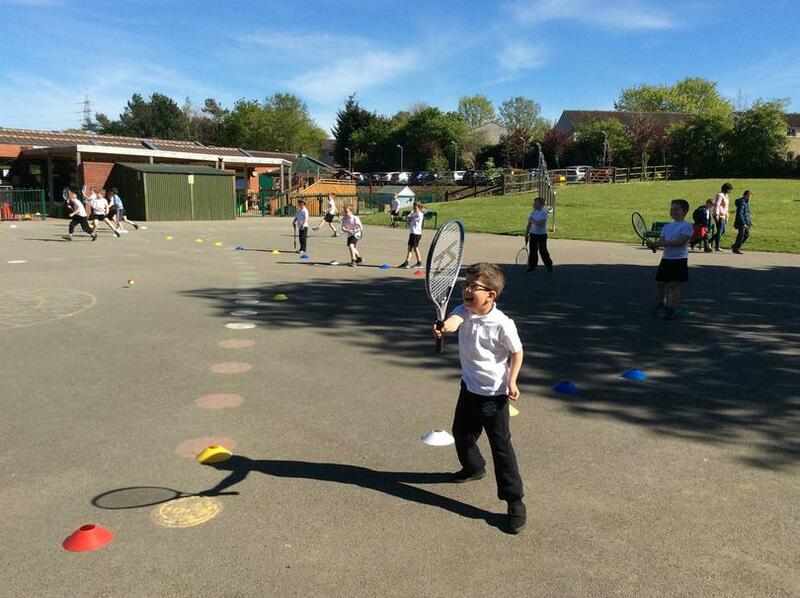 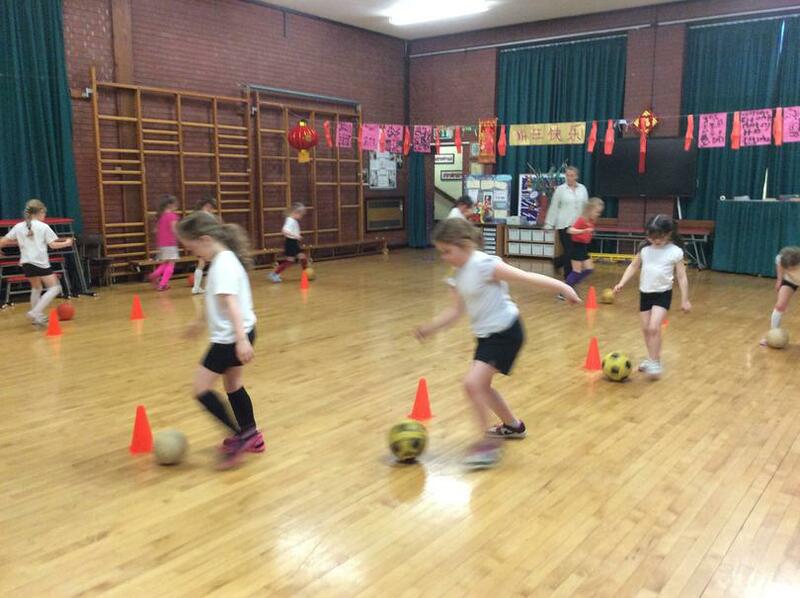 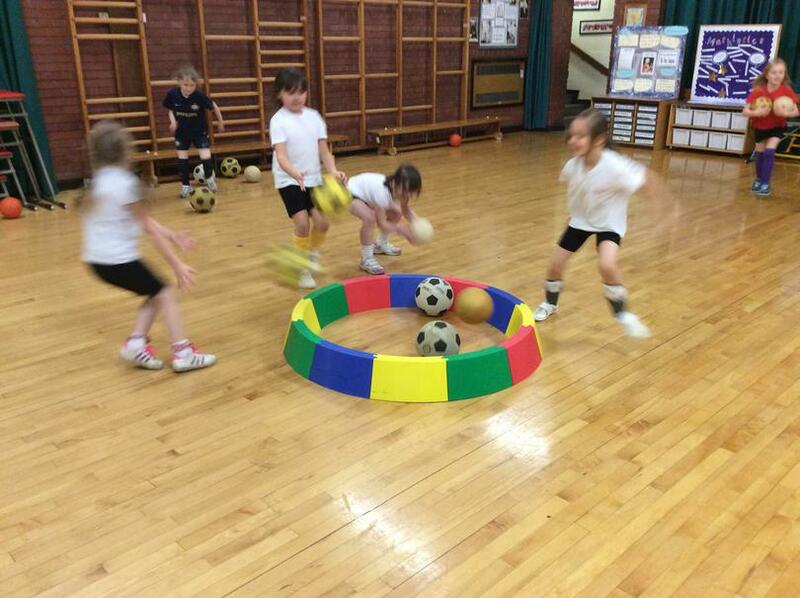 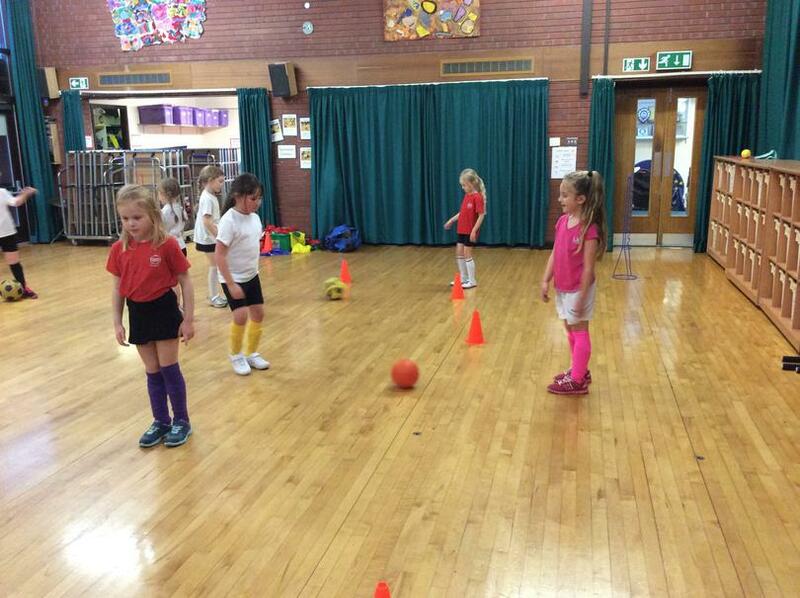 All the children are learning quickly to control the ball while having lots of fun. 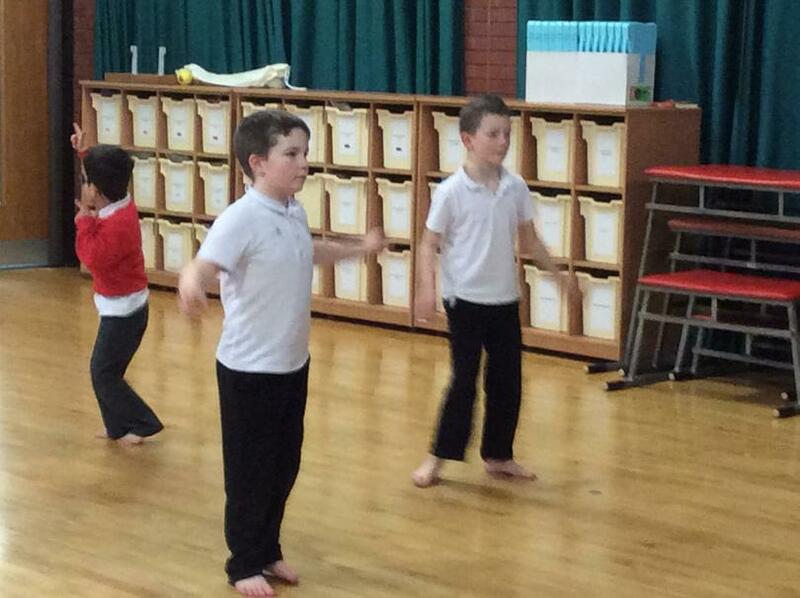 Children from Key Stage 1 have the opportunity to sing some wonderful songs in Razzmatazz. 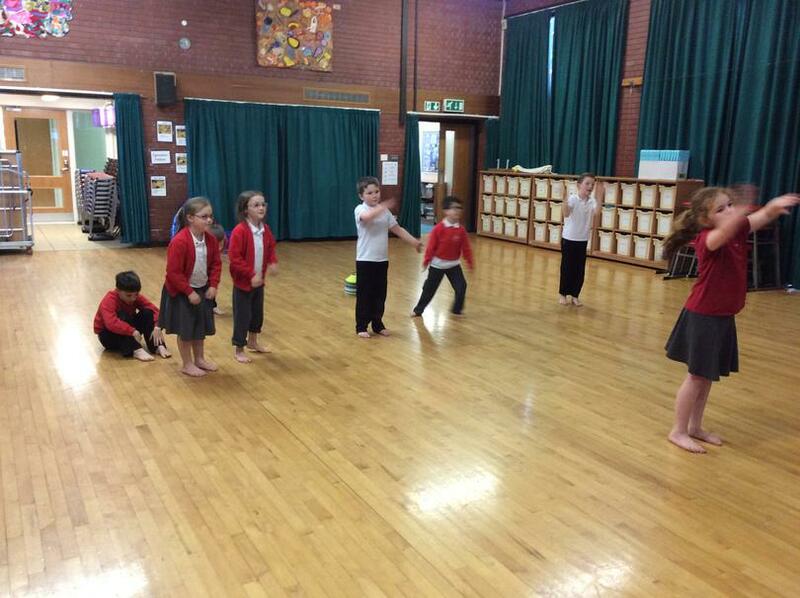 They all have a lovely time learning new songs and even get the chance to put on a performance for parents by the end of the school year. 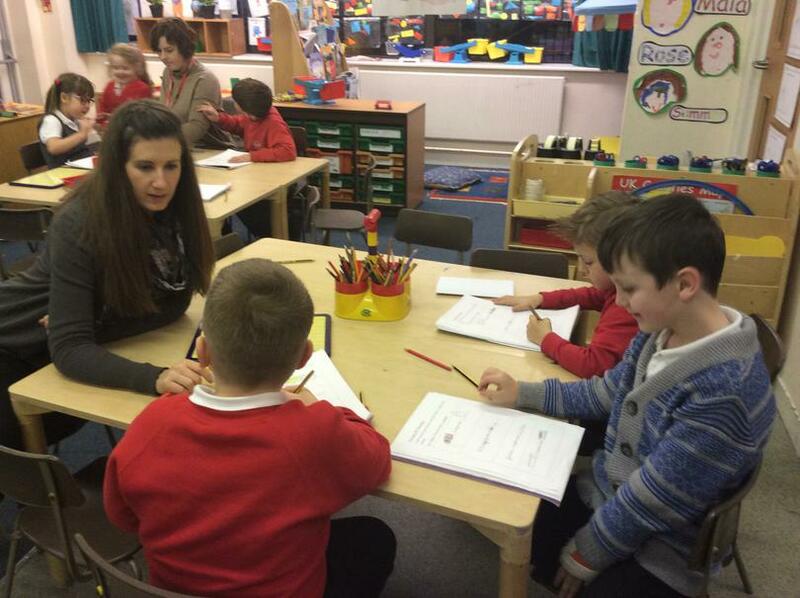 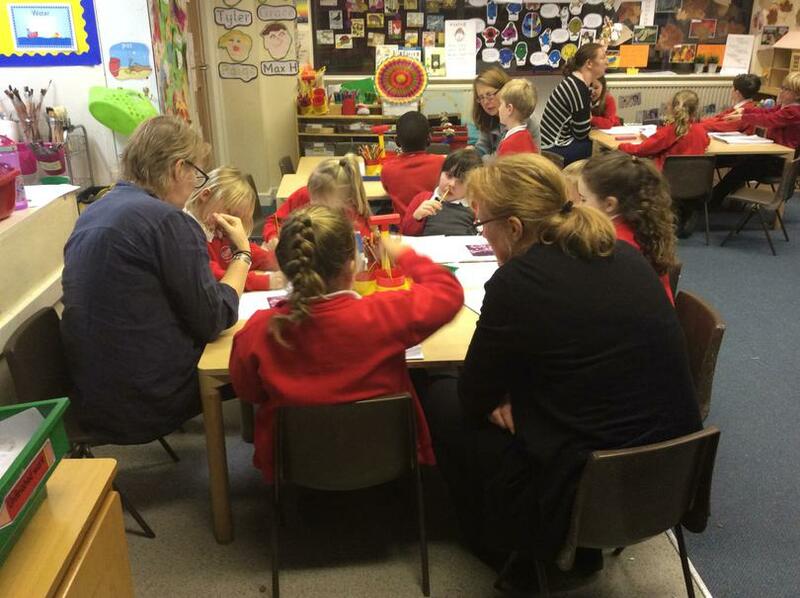 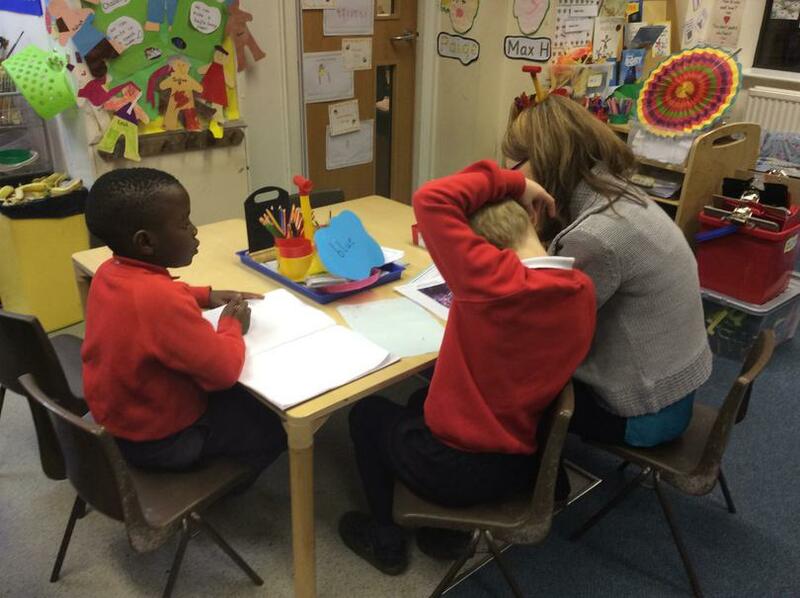 The children from Key stage one can attend homework club on a Thursday after school to receive support when completing their homework. 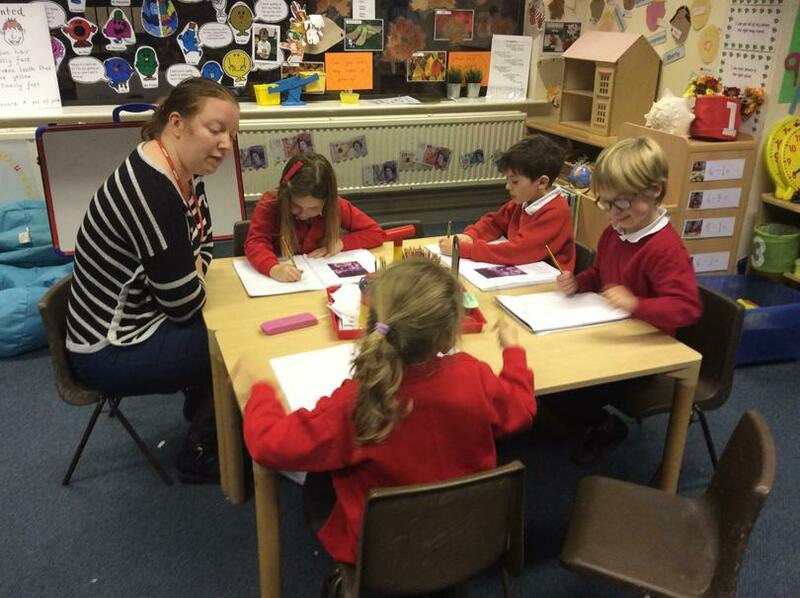 They also have the opportunity to access the internet in order to do further research. 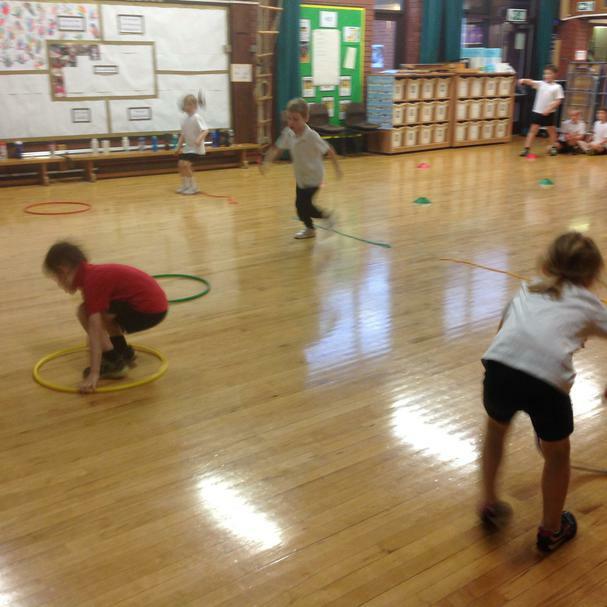 This is a new club for the Year 2 children, each week they learn and practice skills related to running, jumping and throwing. 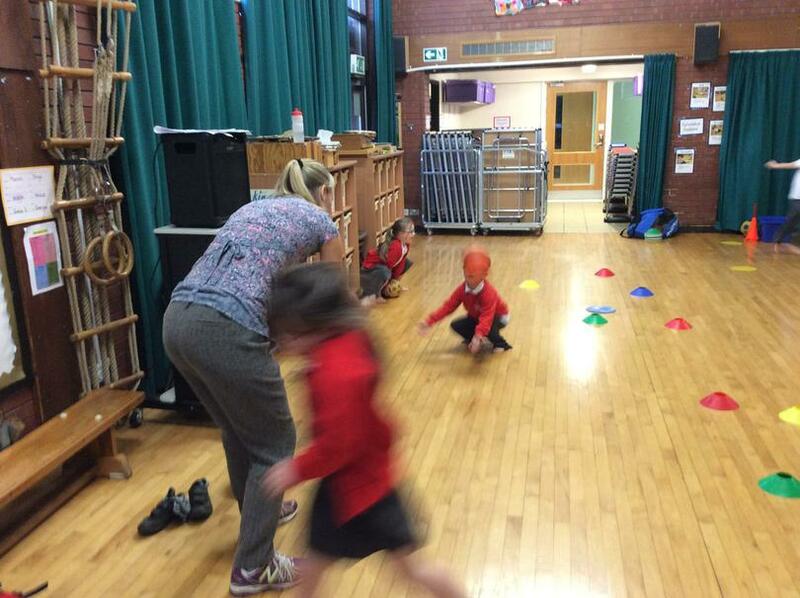 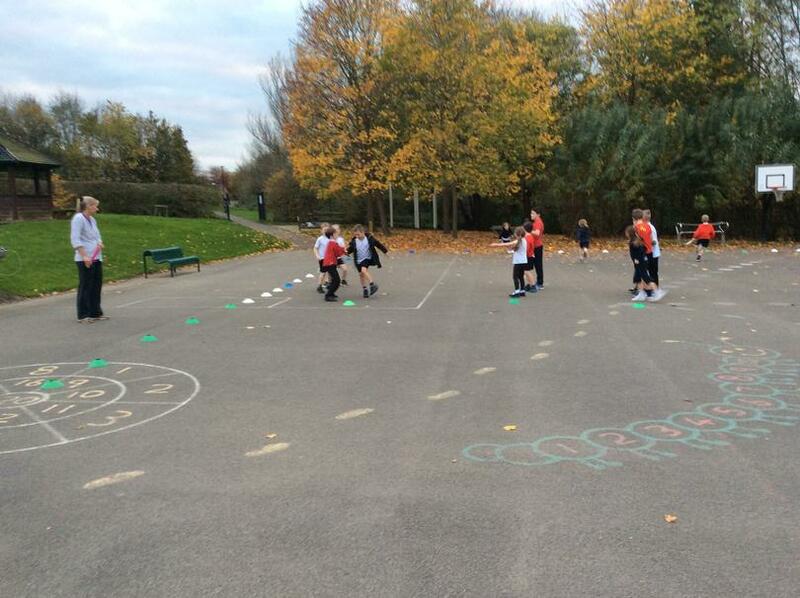 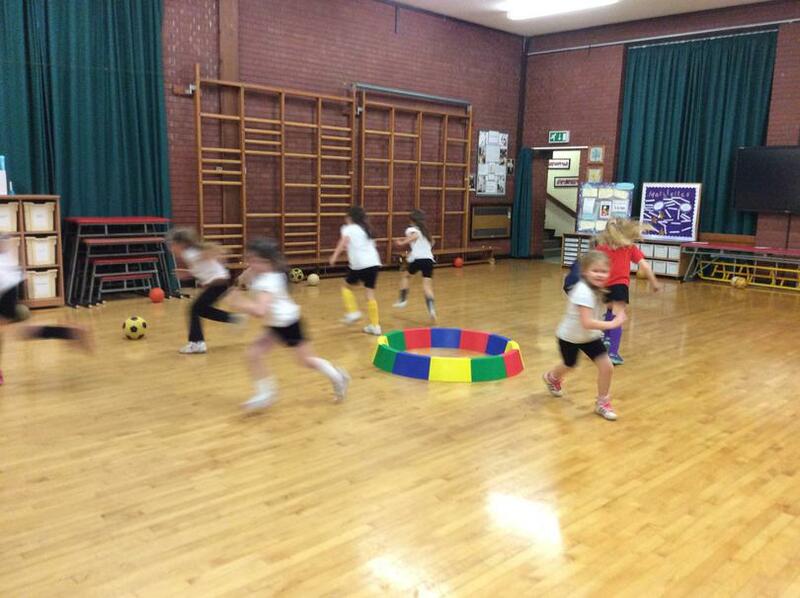 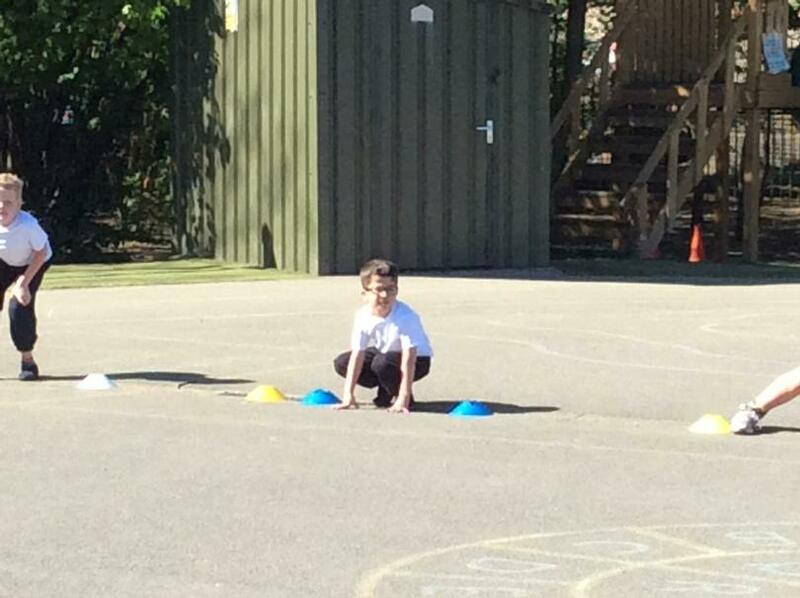 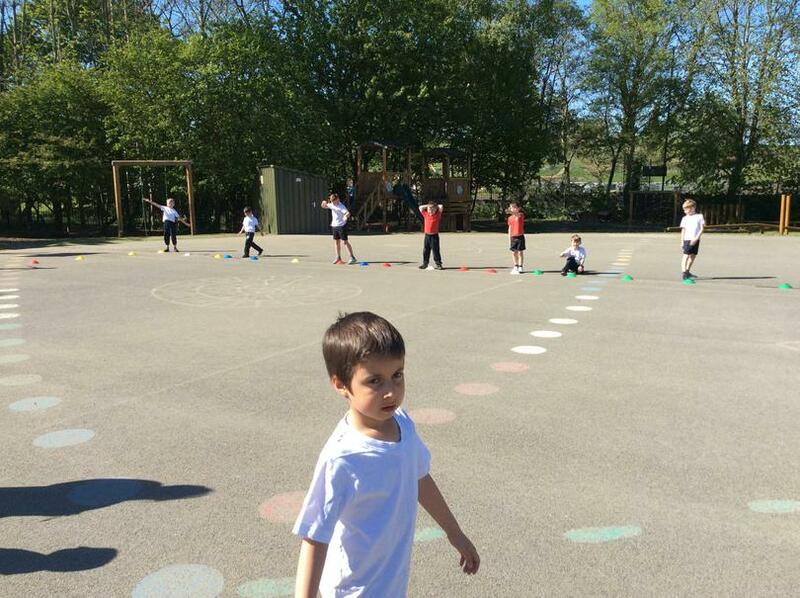 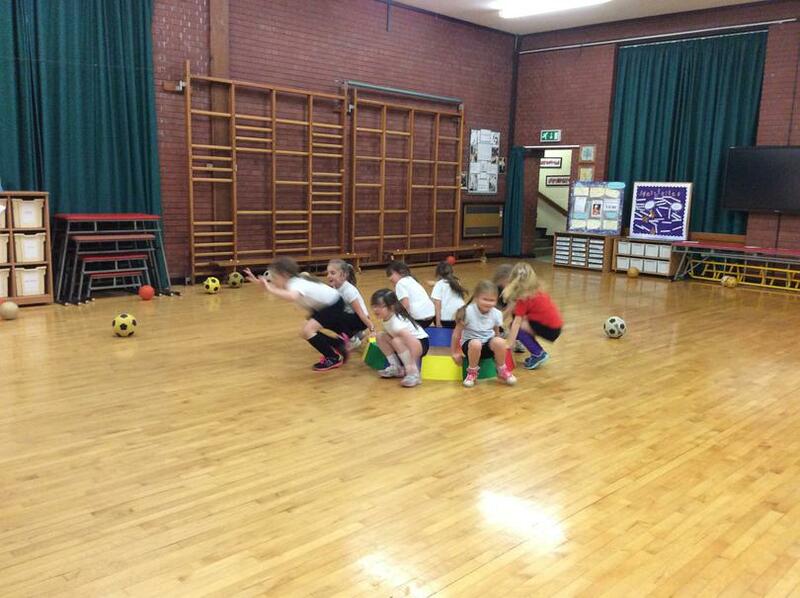 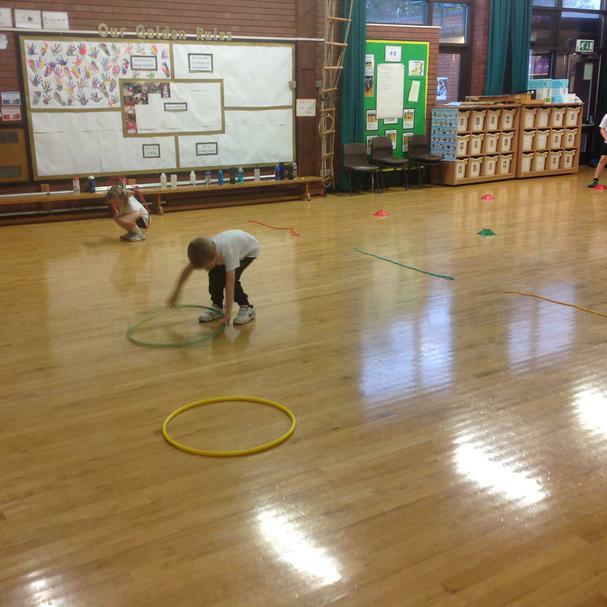 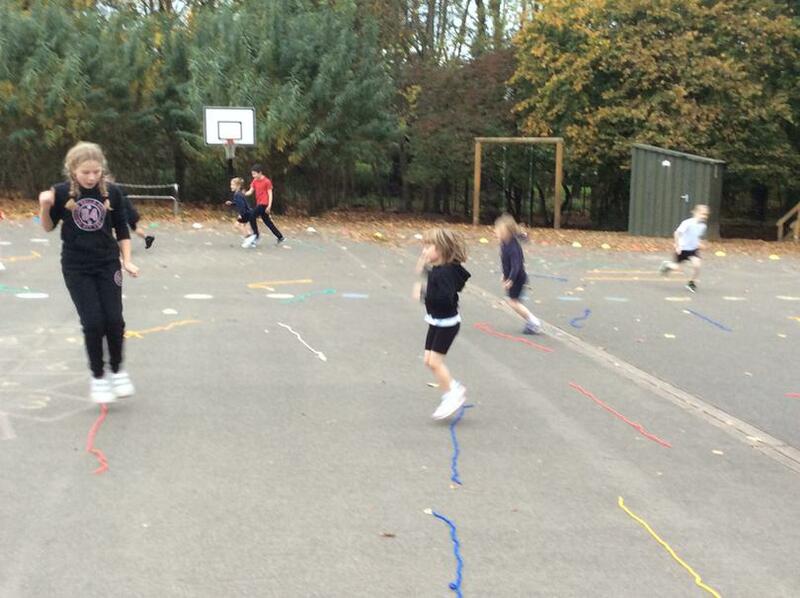 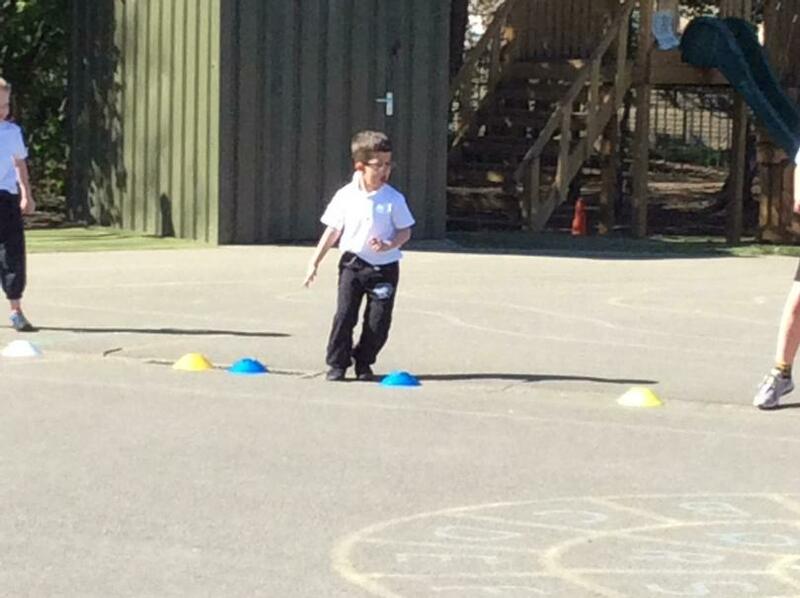 During the activities the children also work on the fundamental skills of agility, balance and co-ordination. 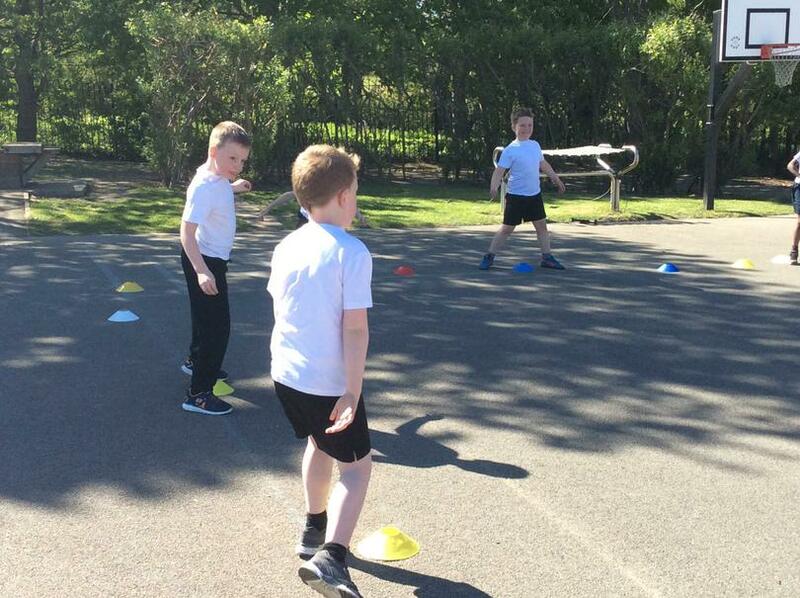 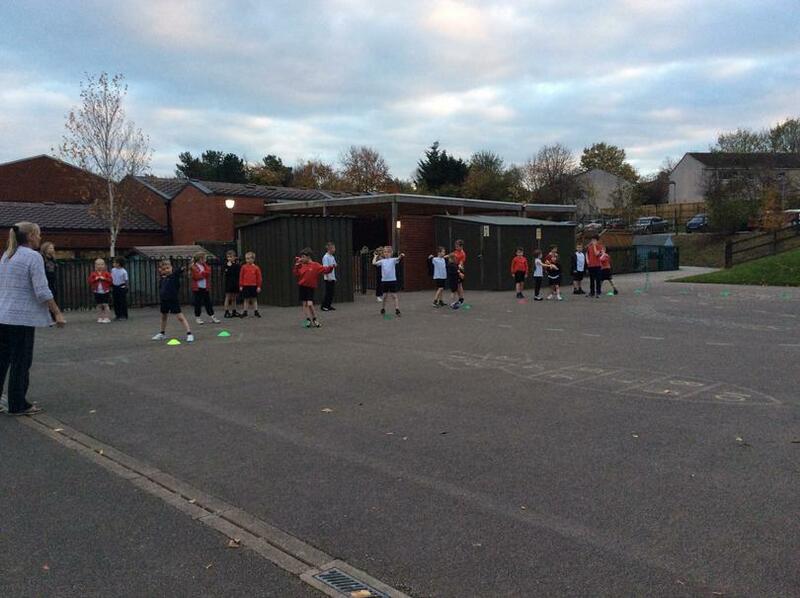 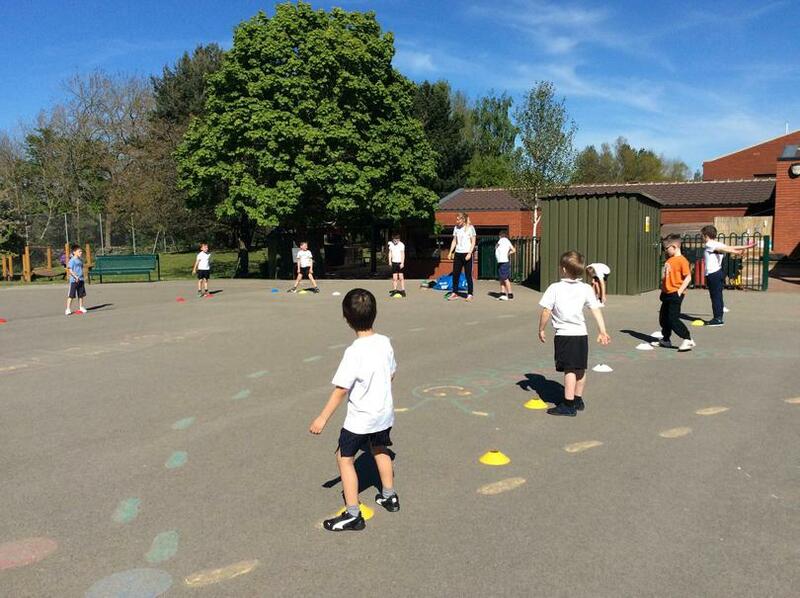 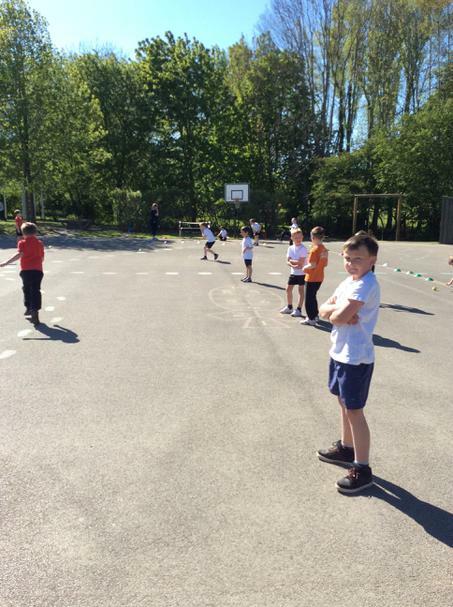 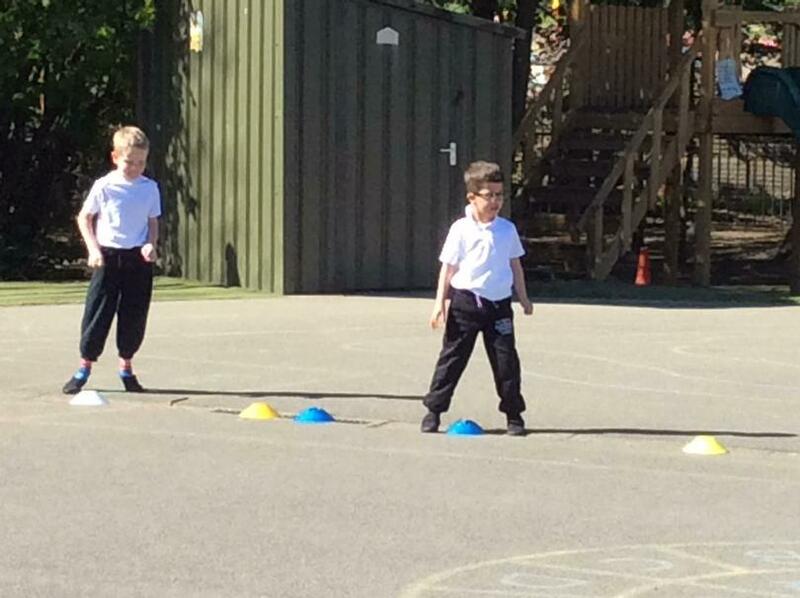 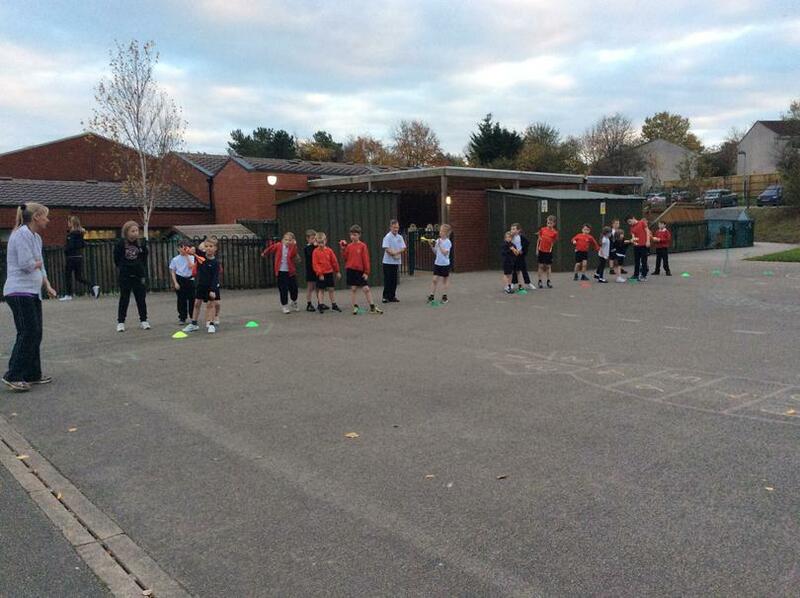 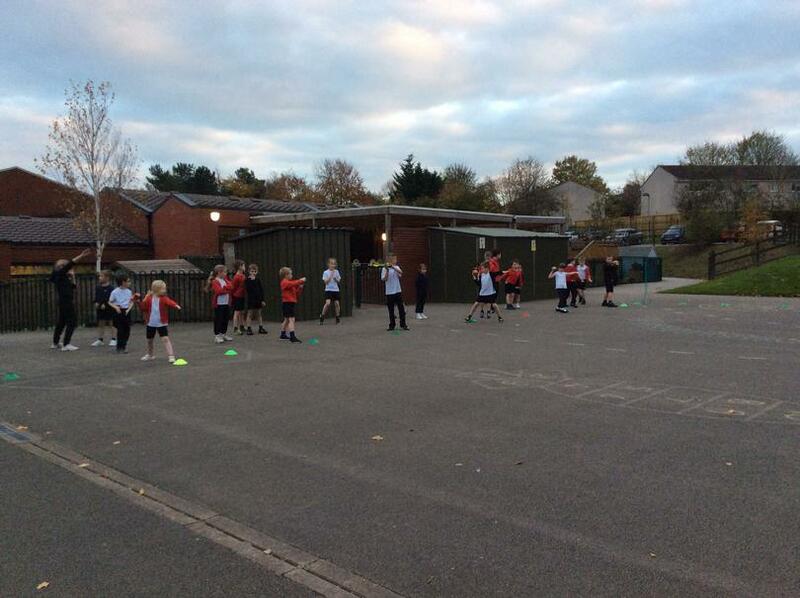 We are also developing links with The Junior School by having some of the children come over to encourage the Infant children and pass on some great top tips for good techniques in athletics. 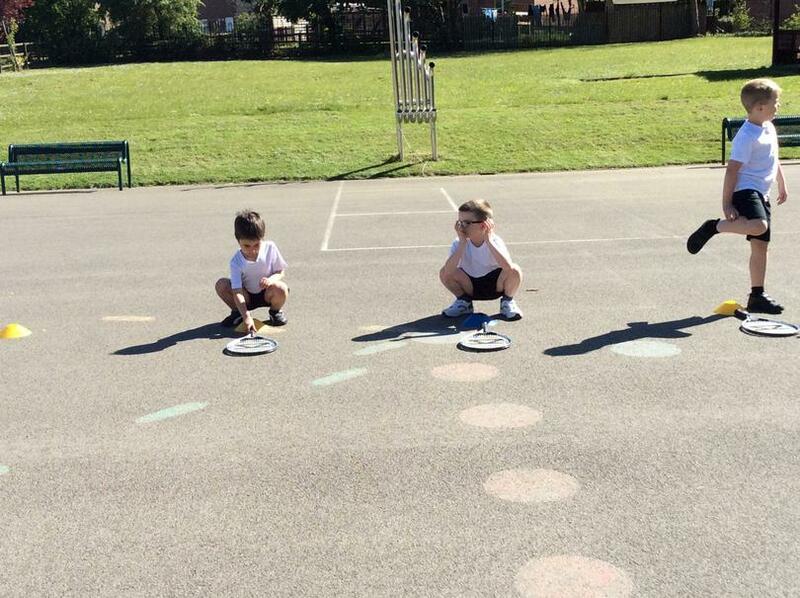 All the children involved are having a great time learning new skills, teaching techniques to others and listening to each other. 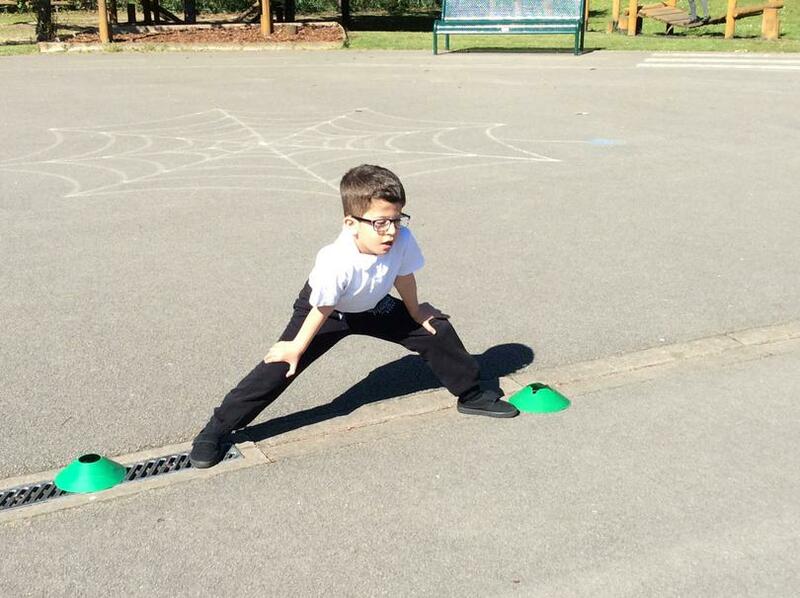 Take a look at some of our fabulous photos from Athletics club.